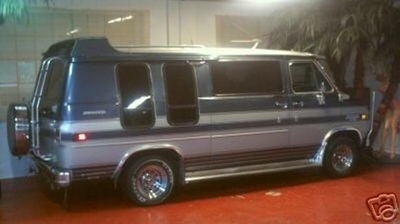 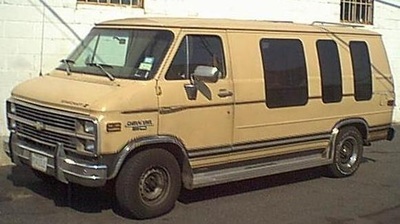 GM Vans (General Motors). 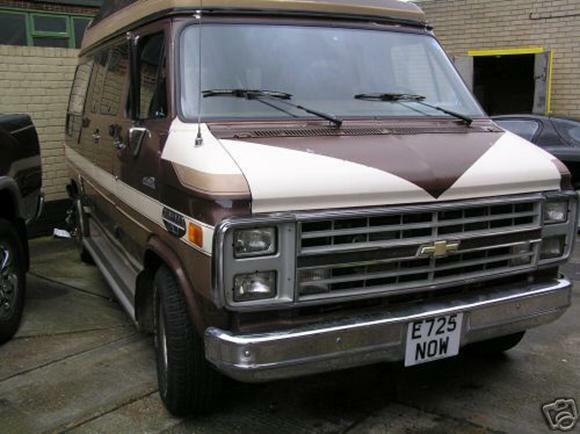 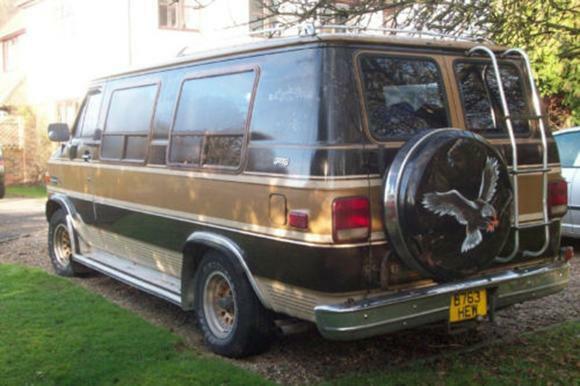 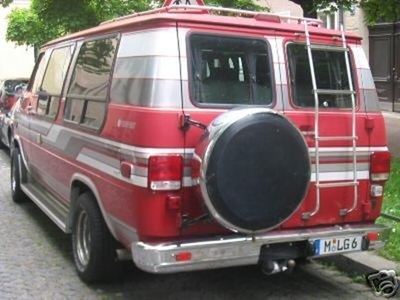 A total of four different van name-plates are available , two each from Chevrolet and GMC Trucks. 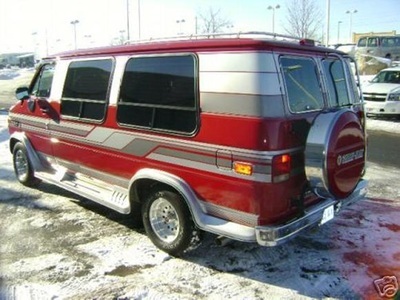 Other than miscellaneous trim and option package names, the models are completely interchangeable between the divisions. 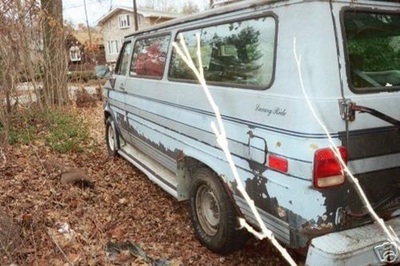 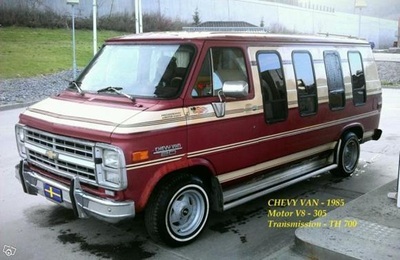 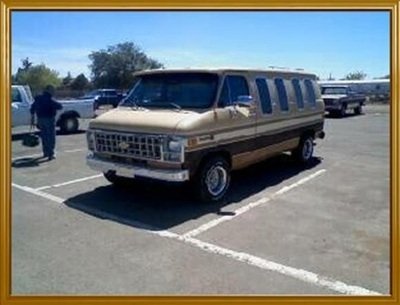 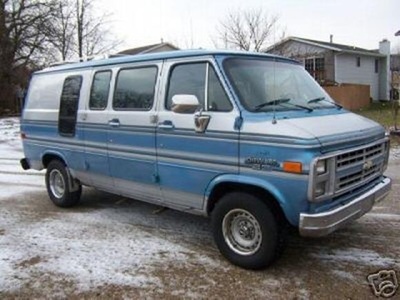 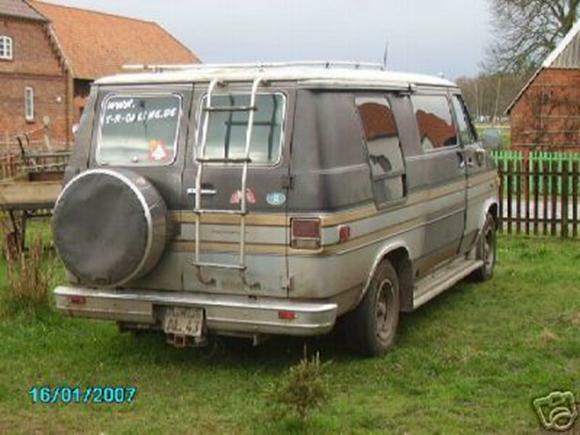 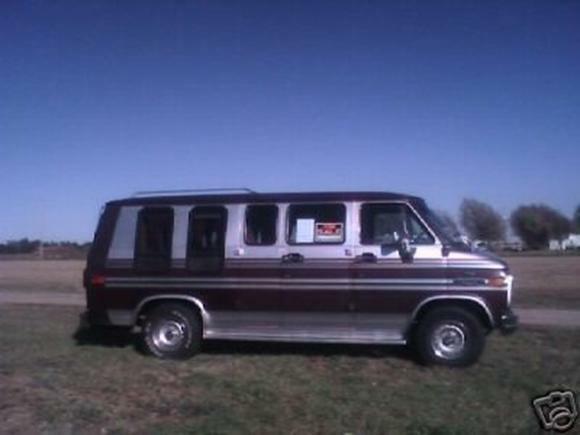 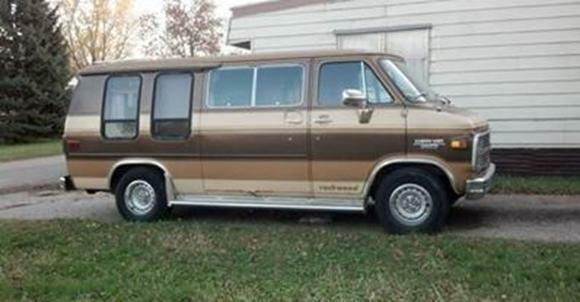 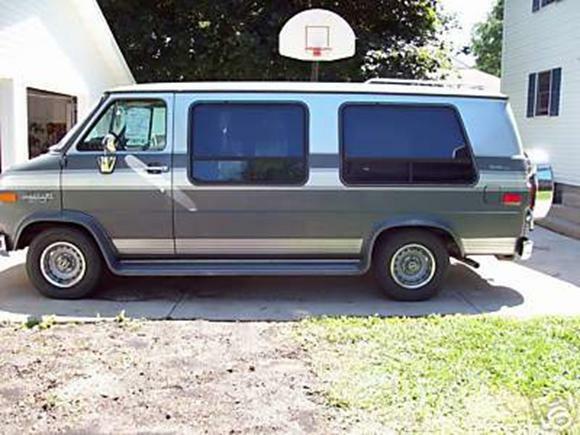 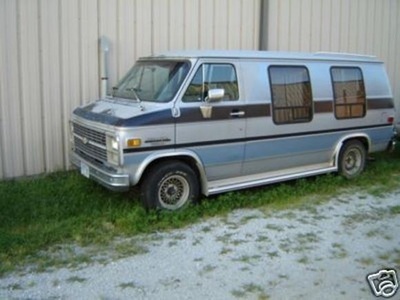 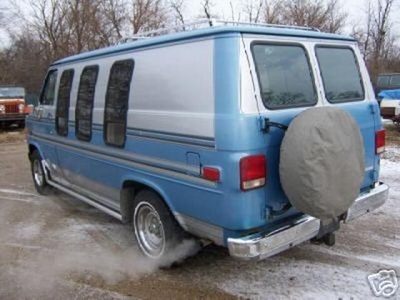 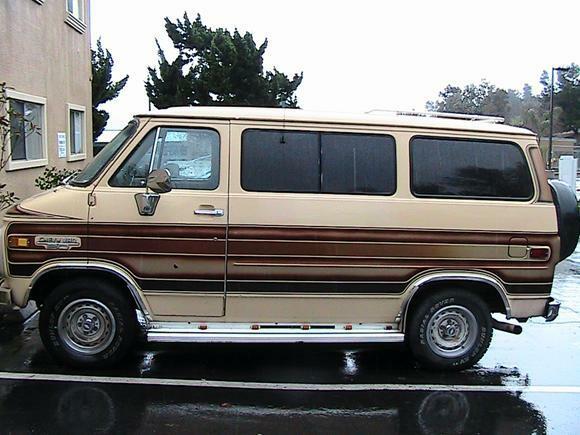 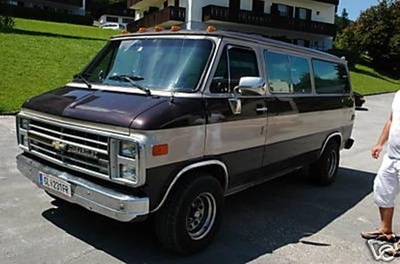 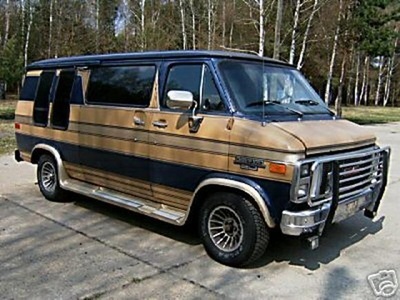 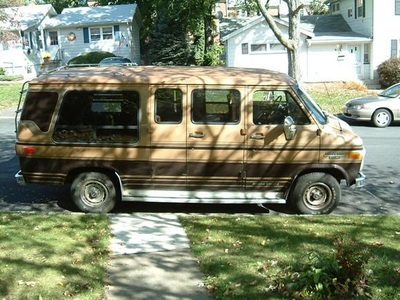 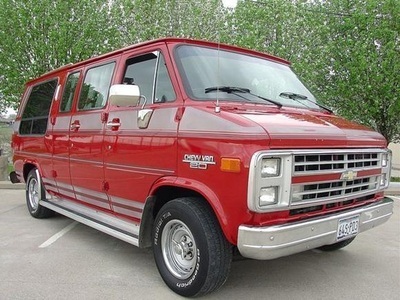 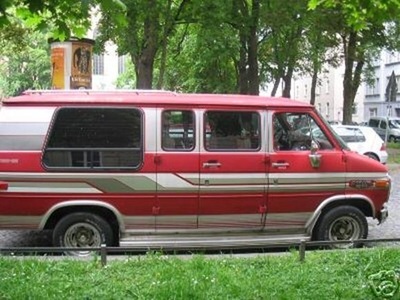 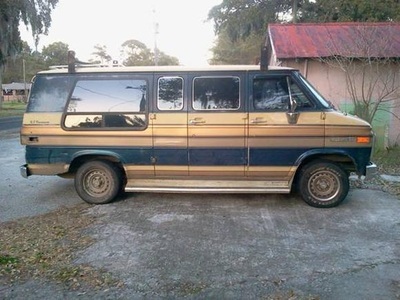 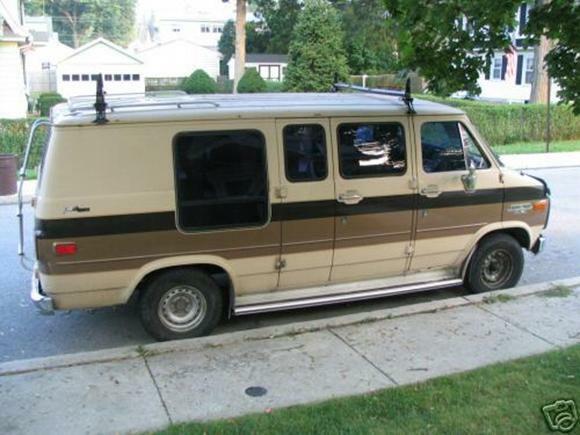 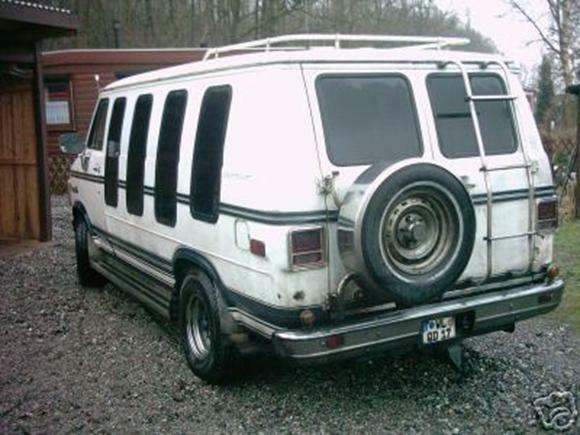 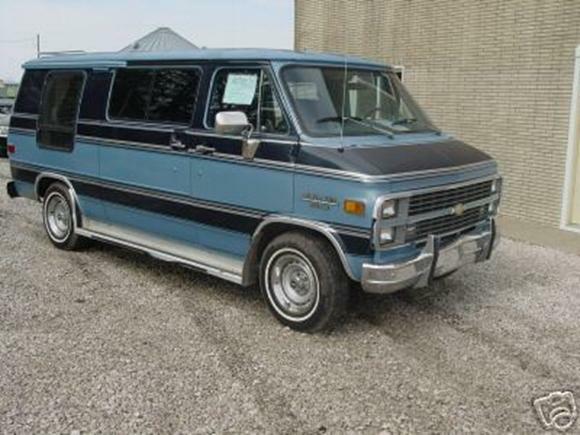 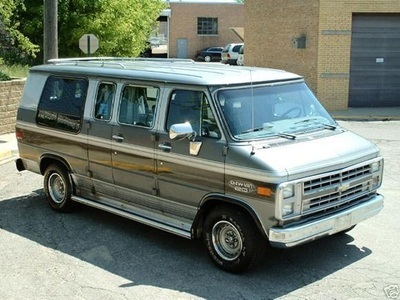 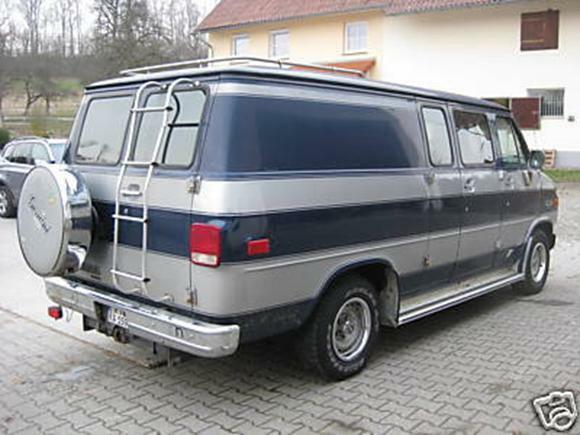 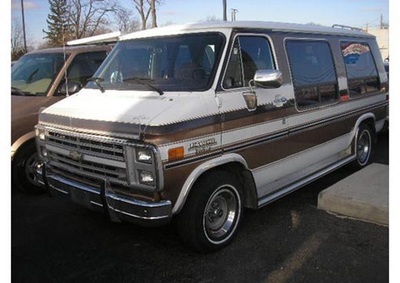 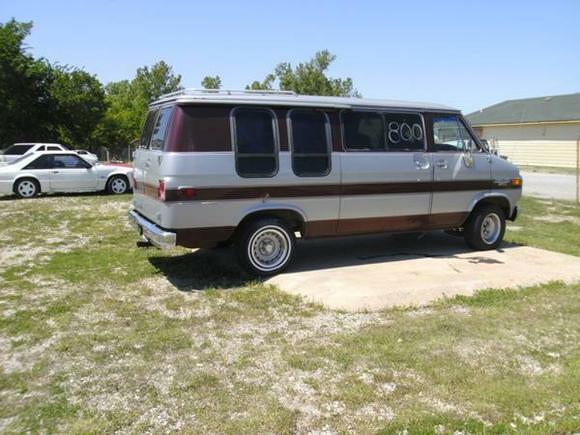 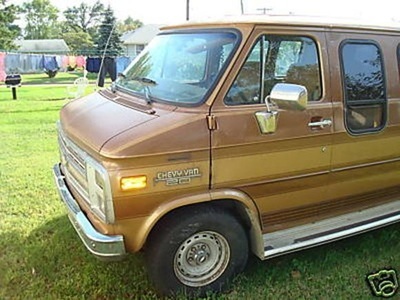 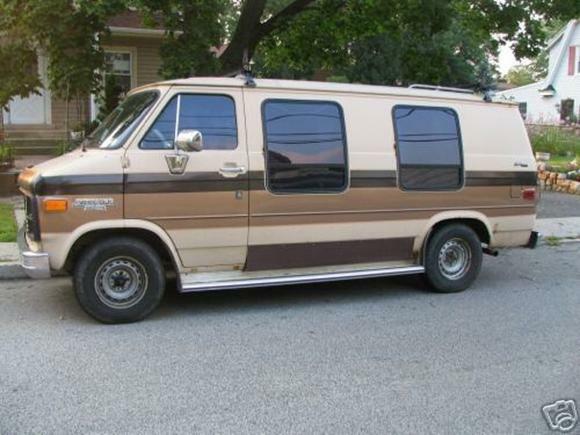 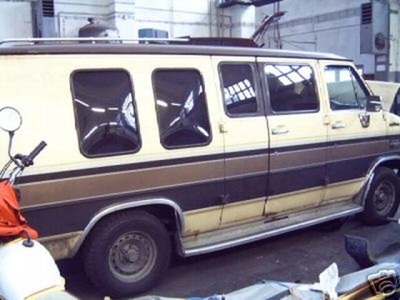 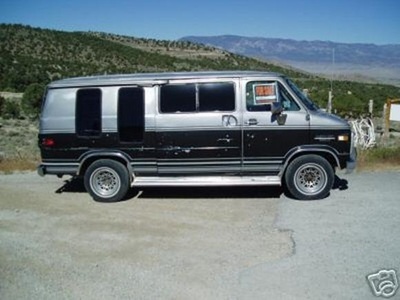 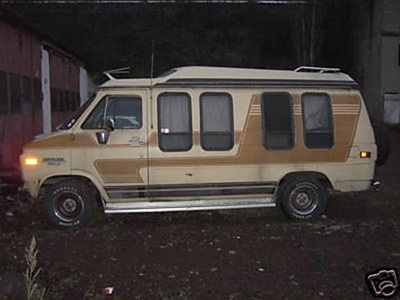 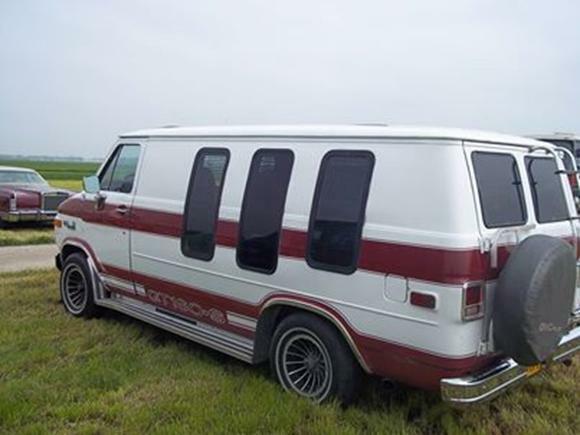 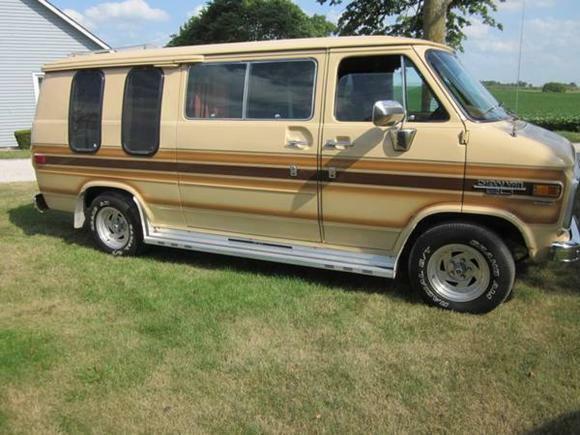 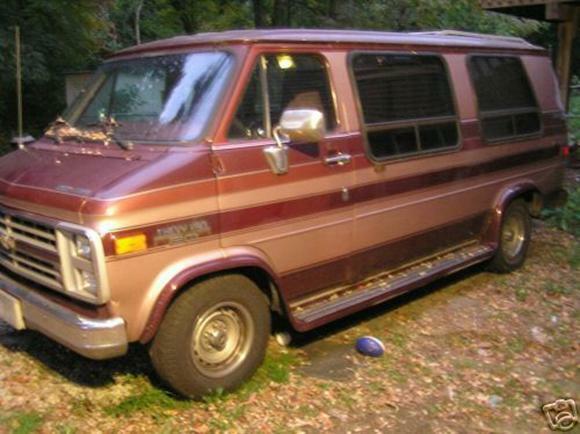 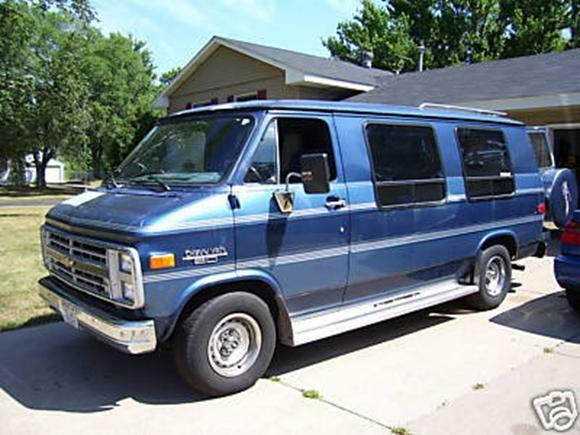 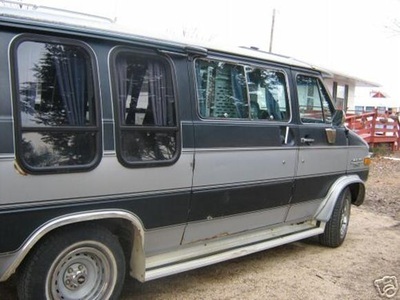 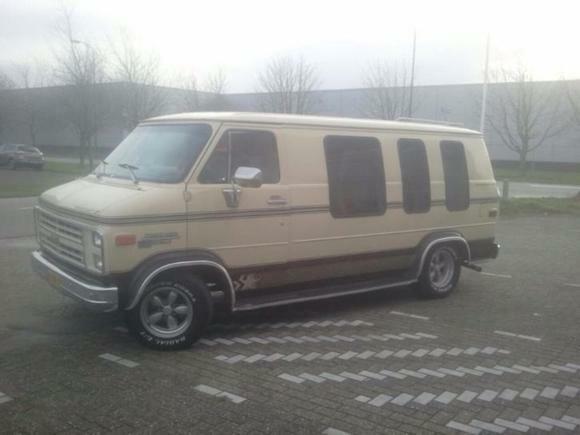 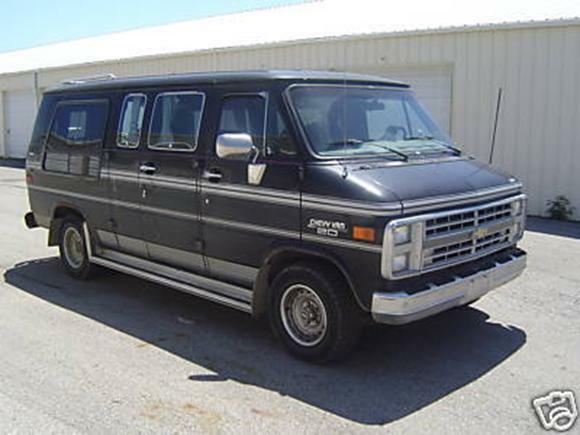 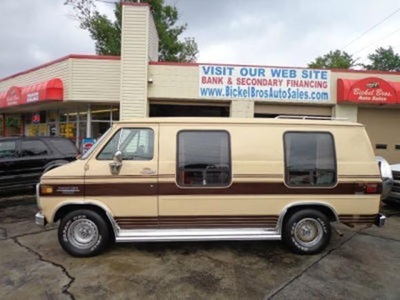 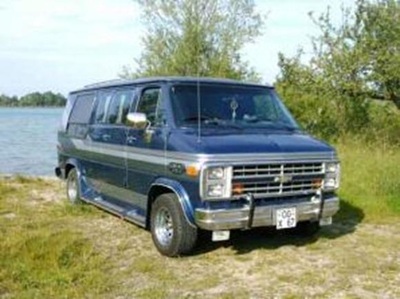 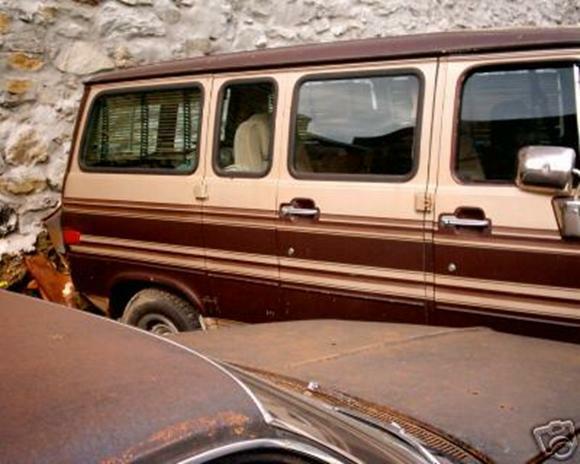 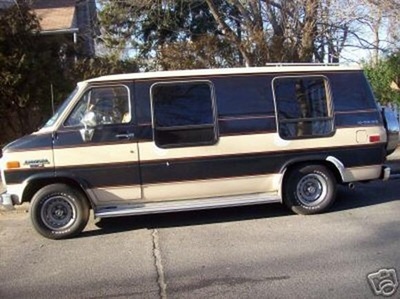 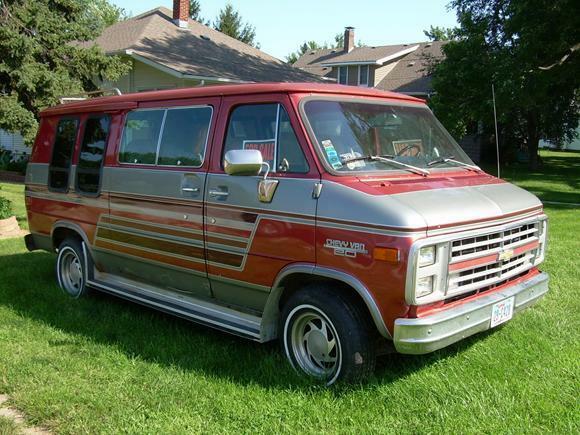 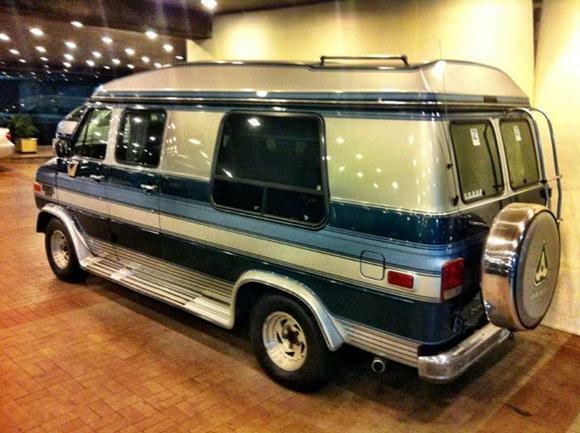 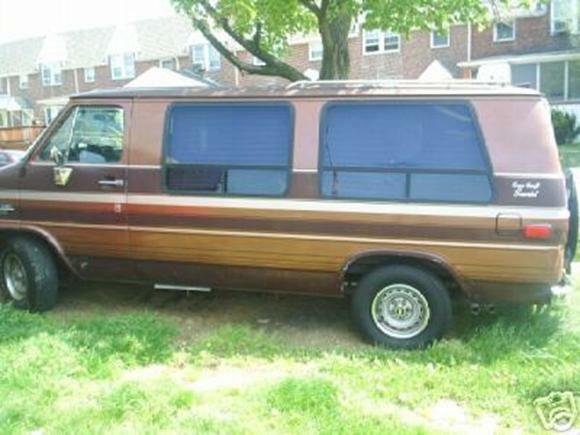 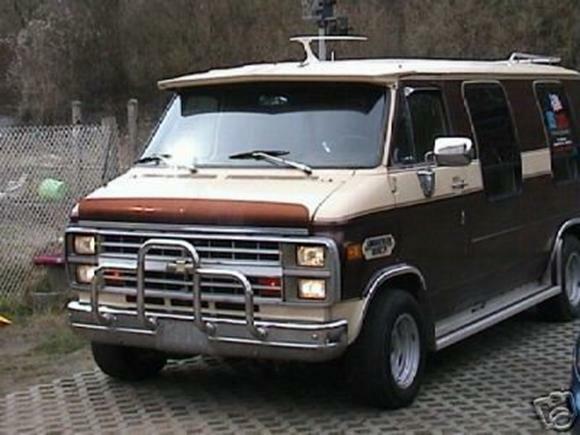 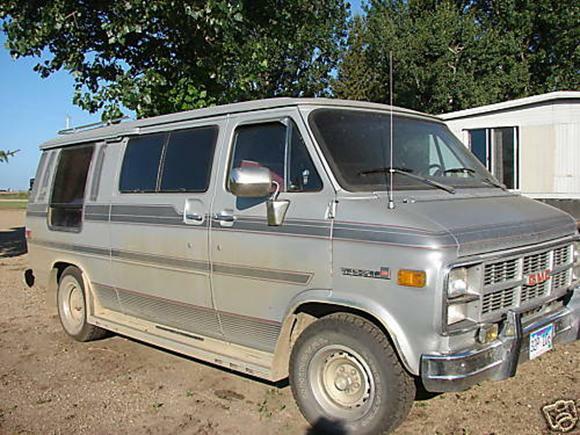 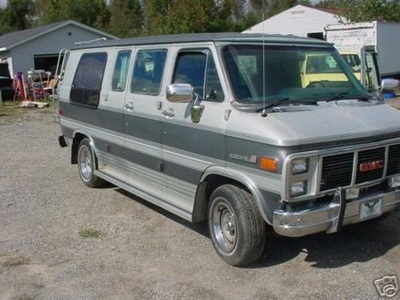 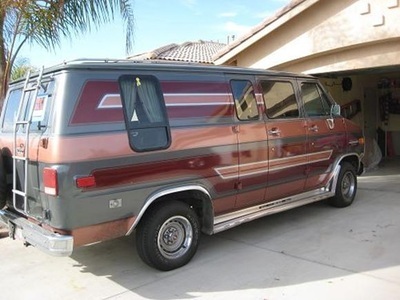 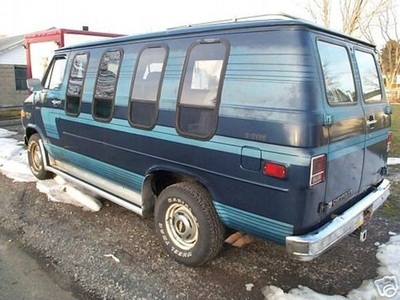 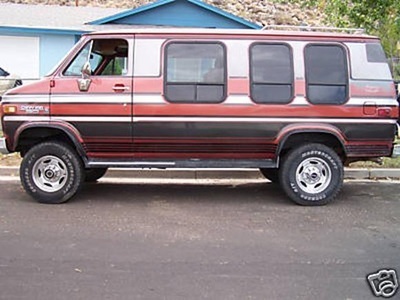 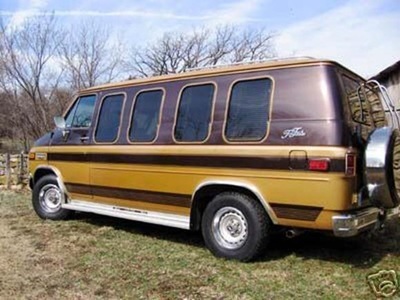 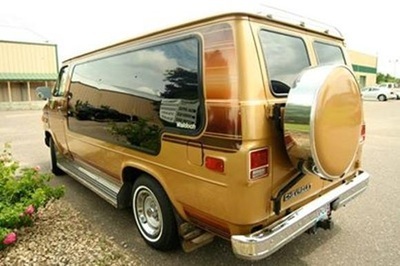 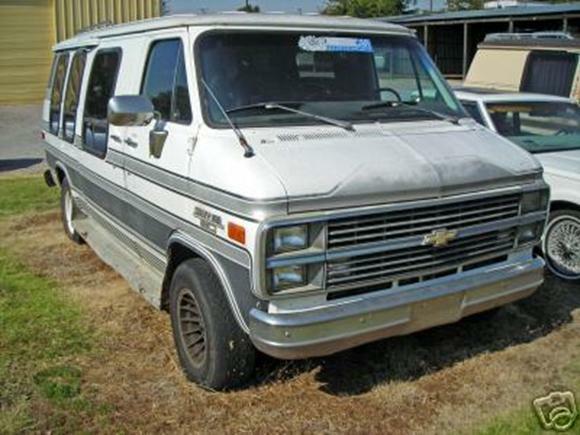 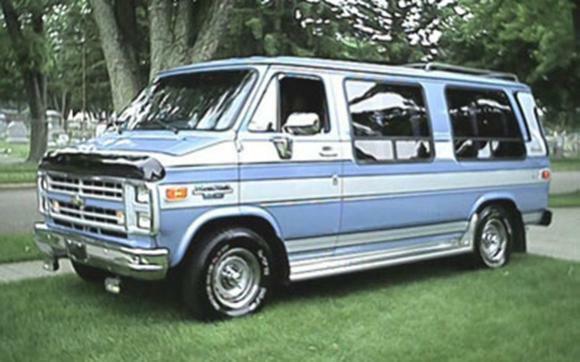 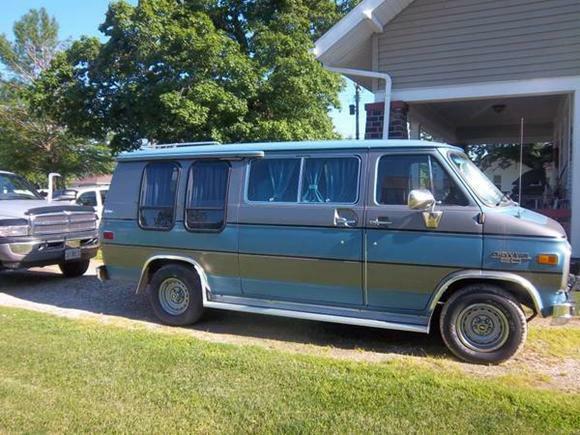 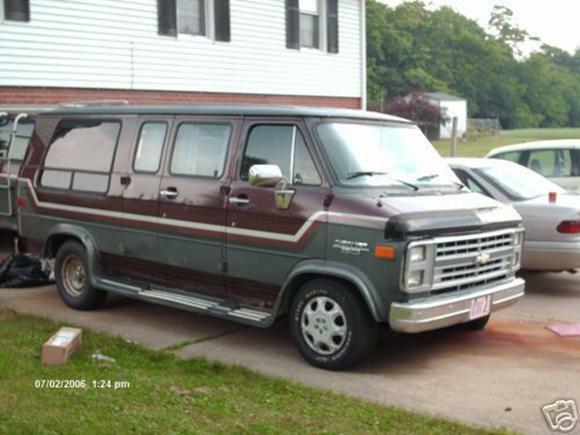 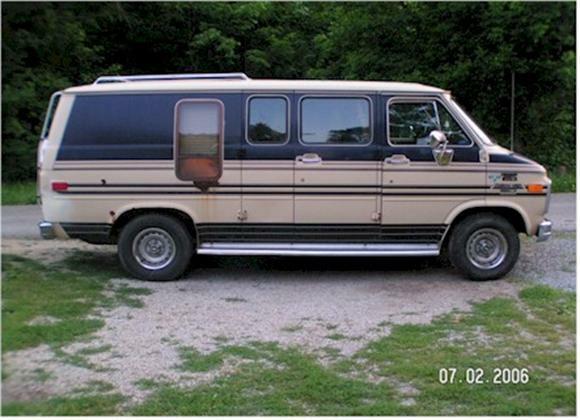 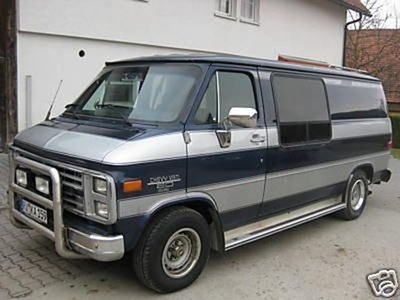 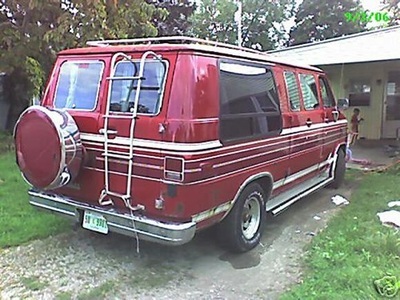 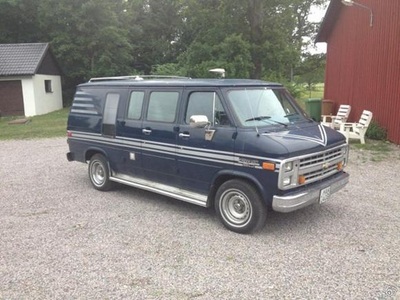 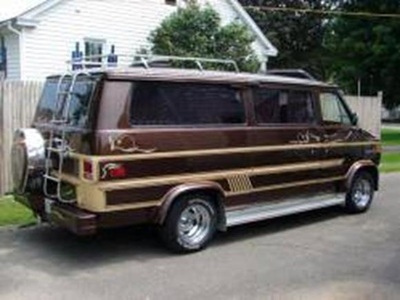 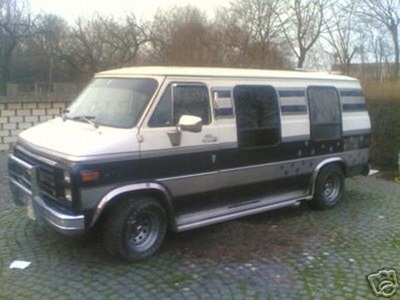 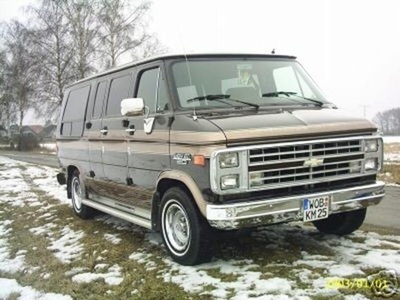 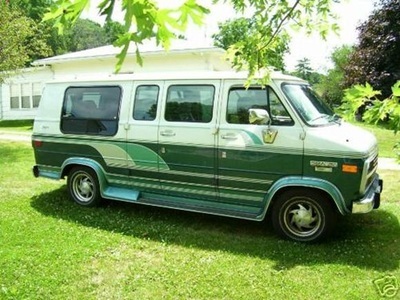 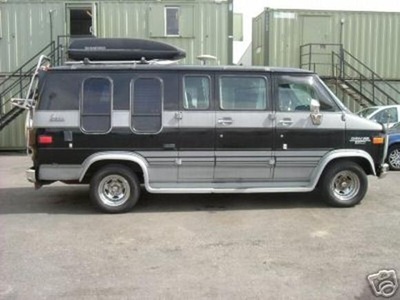 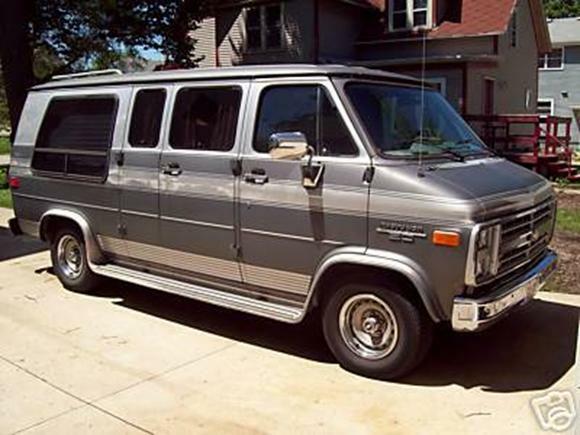 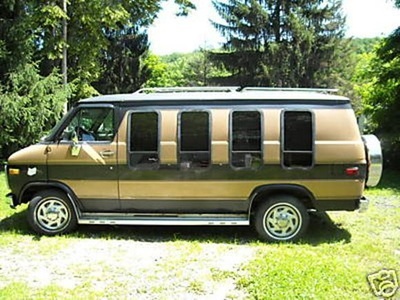 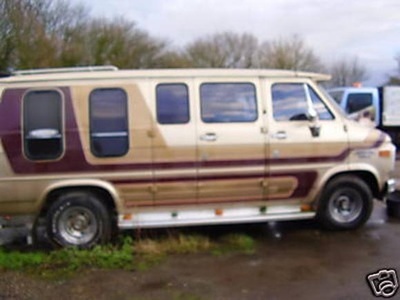 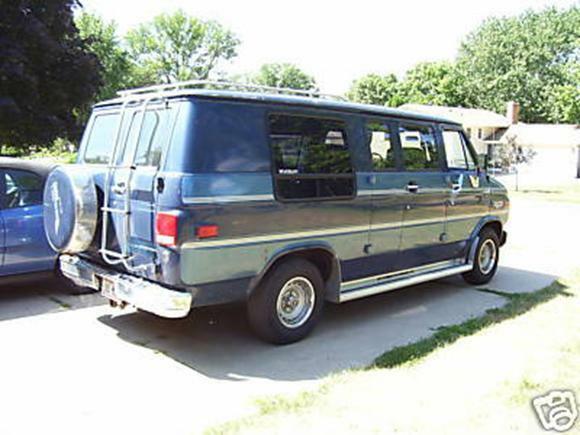 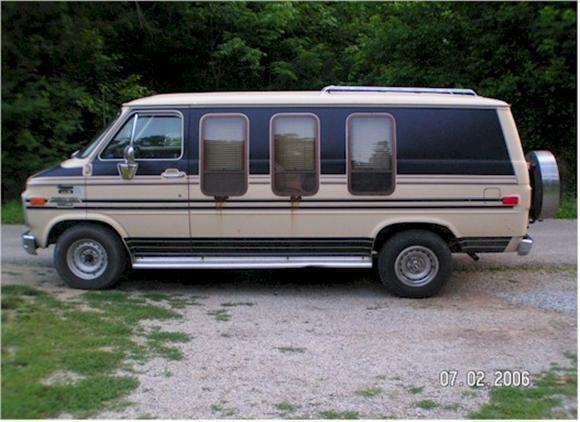 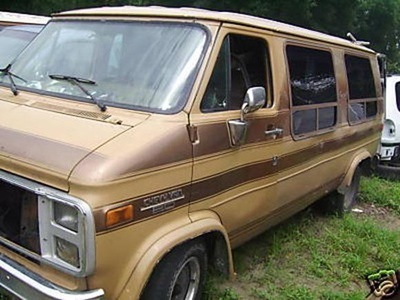 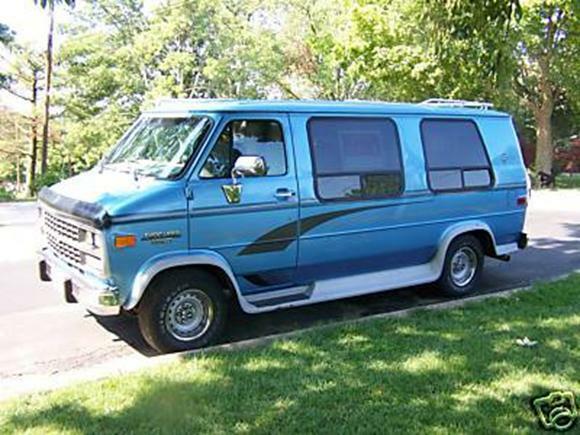 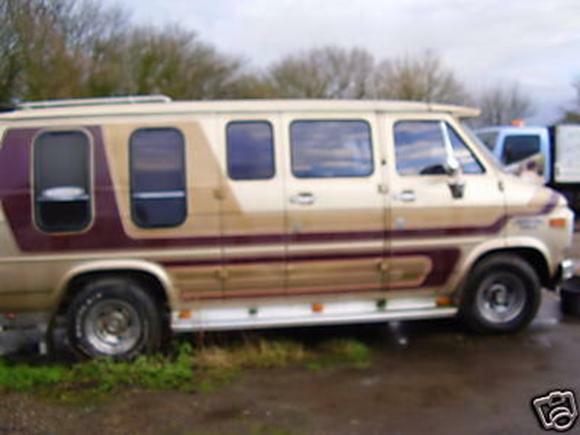 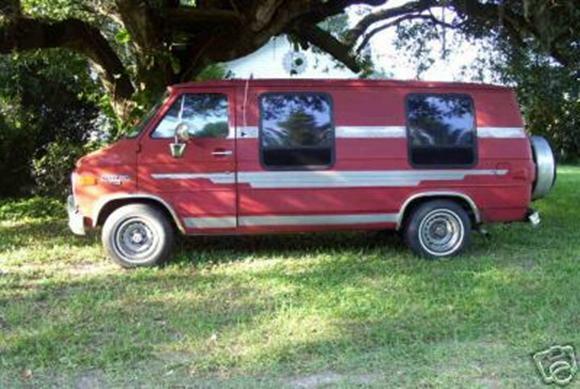 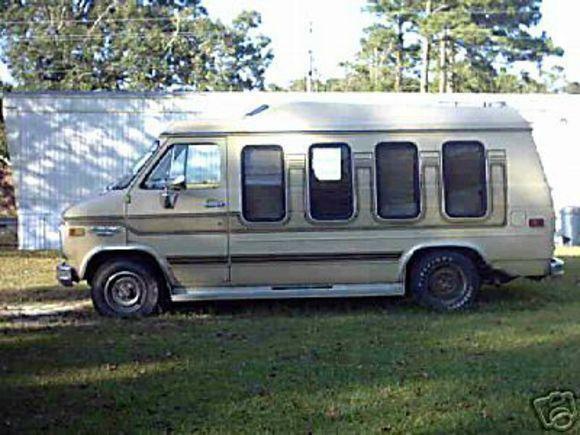 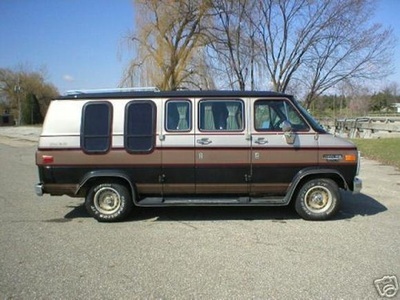 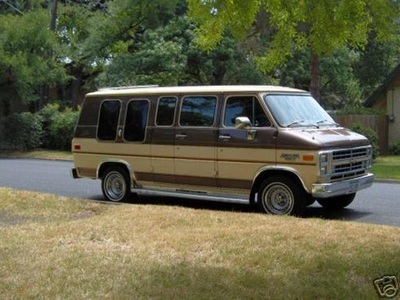 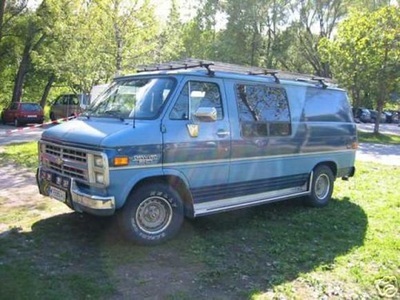 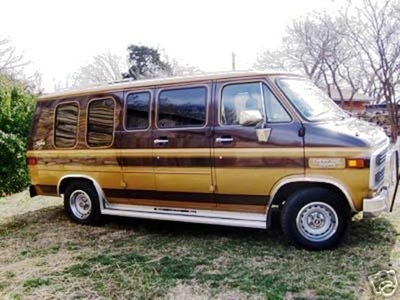 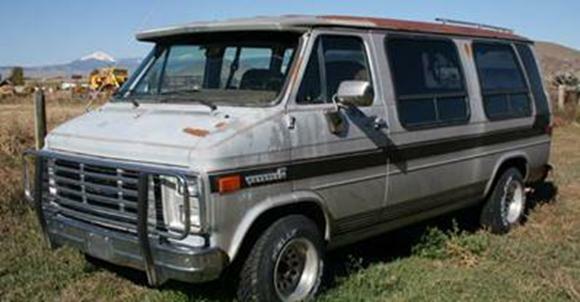 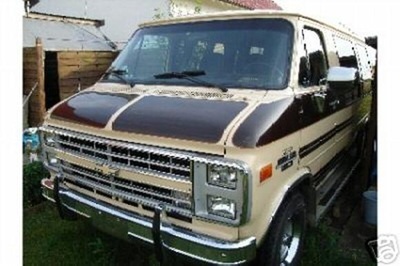 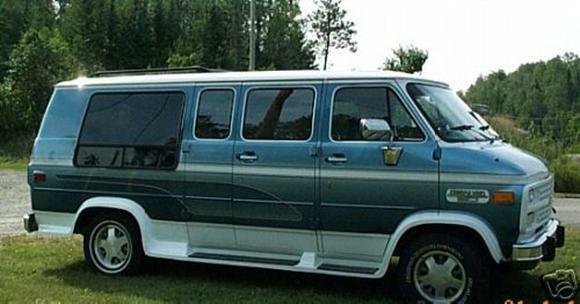 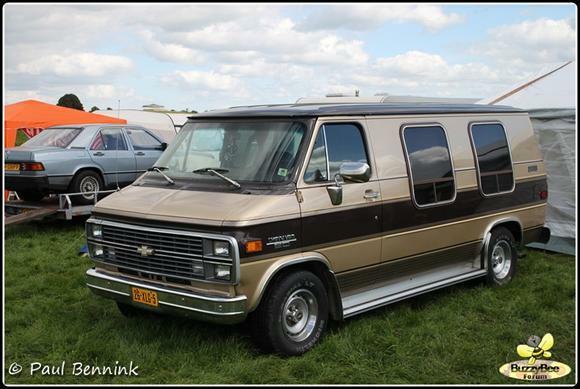 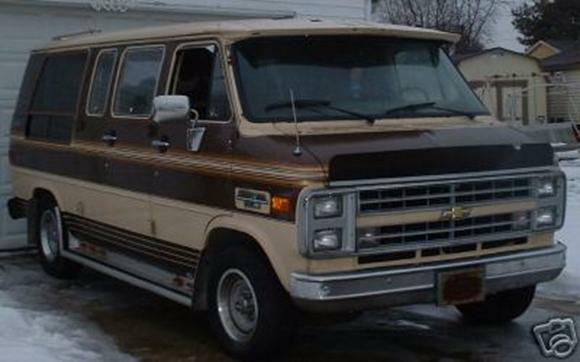 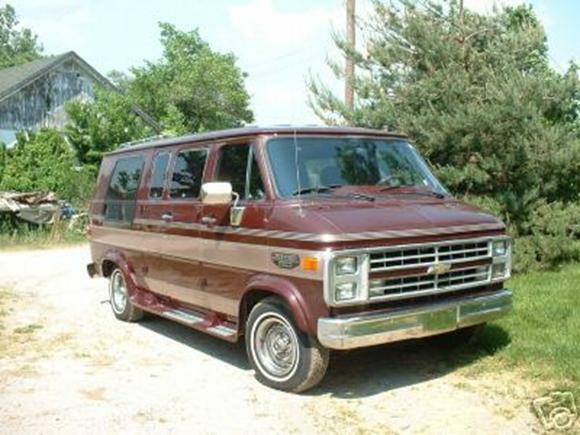 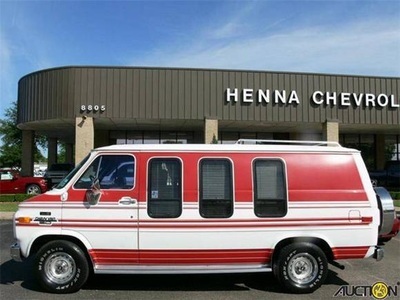 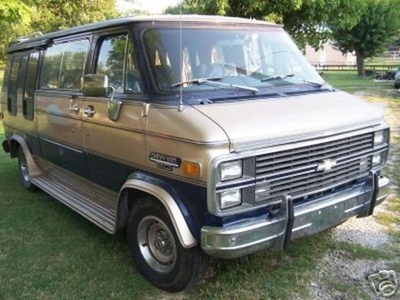 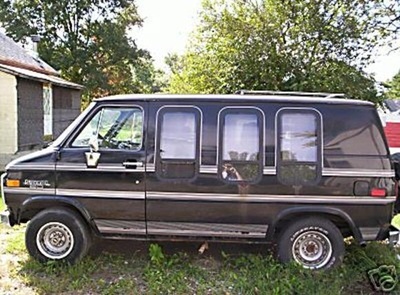 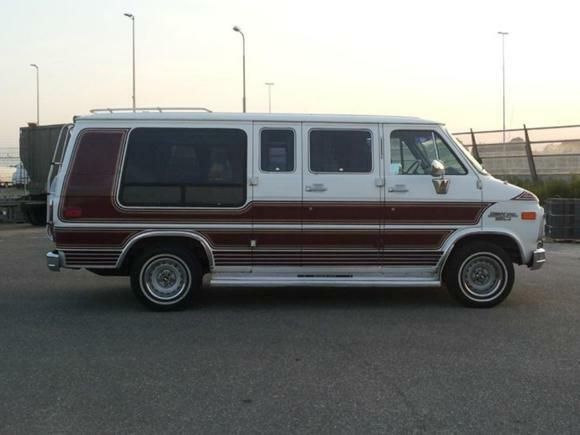 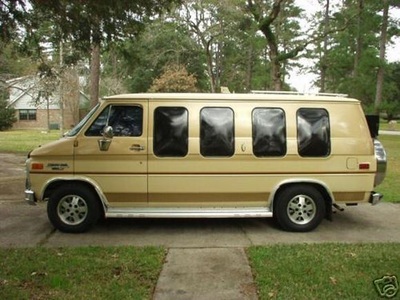 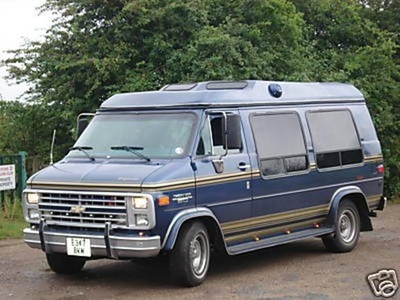 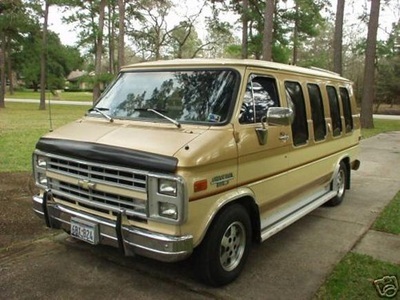 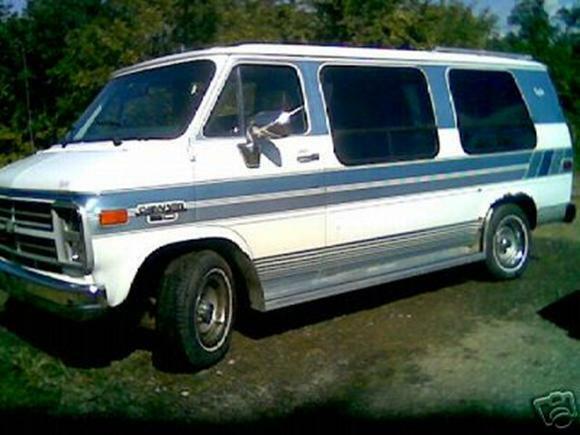 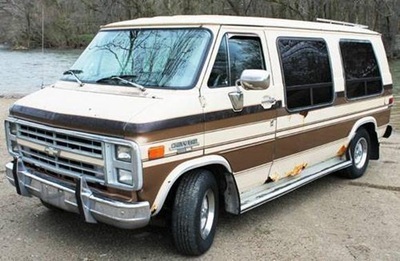 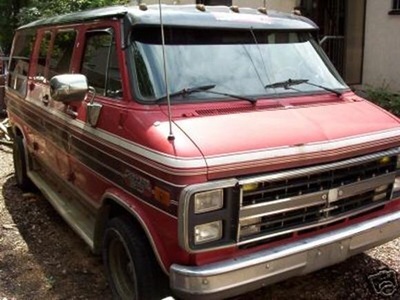 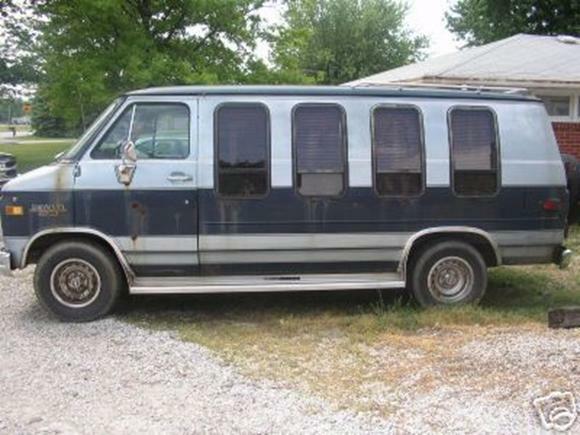 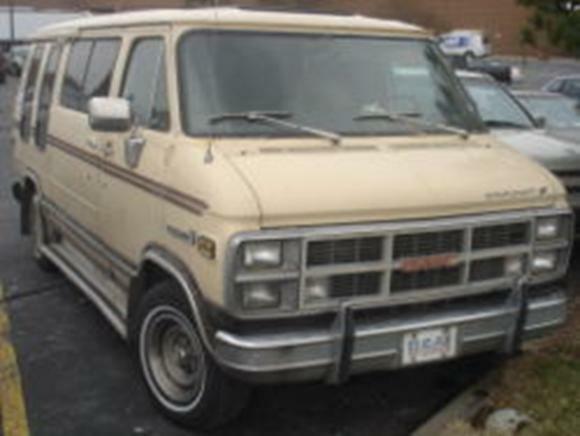 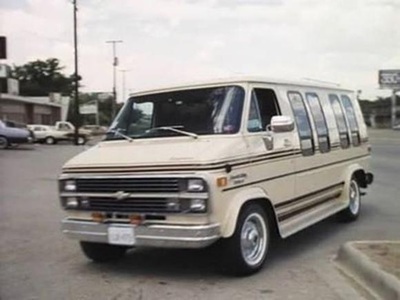 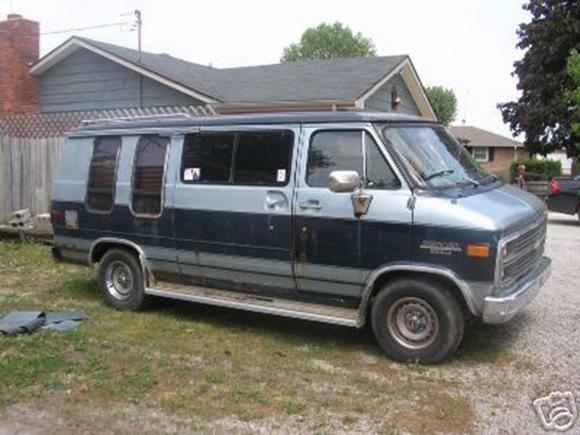 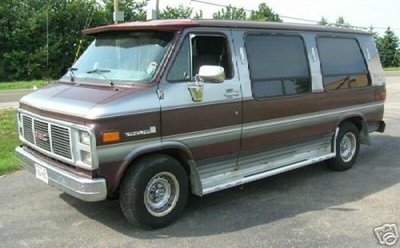 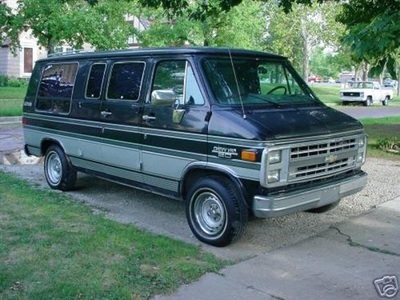 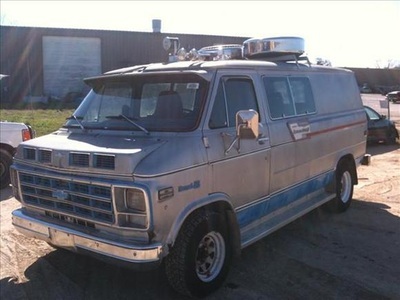 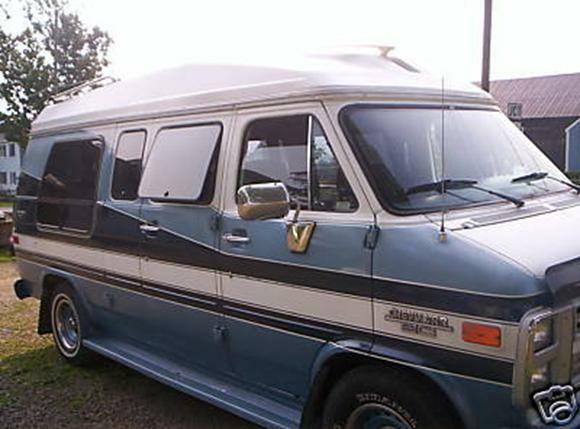 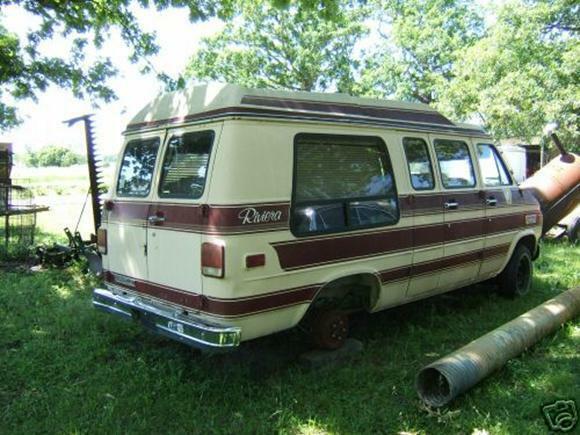 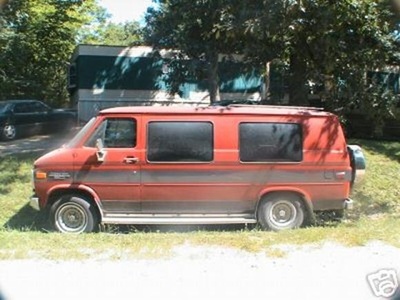 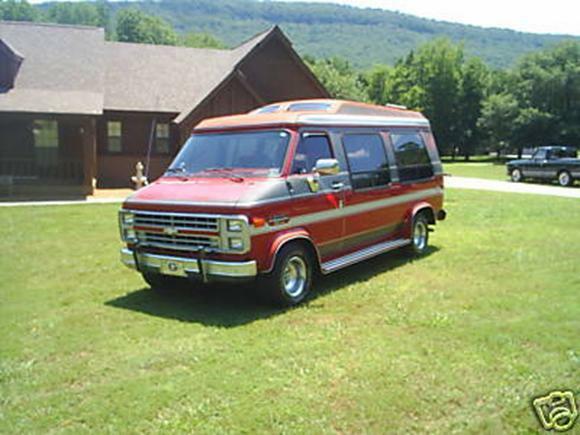 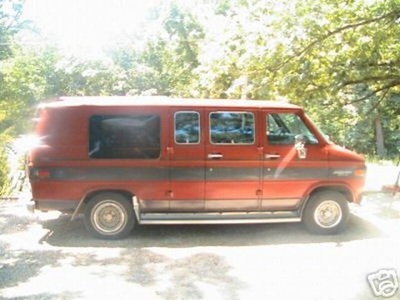 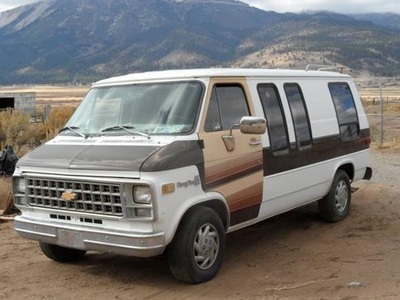 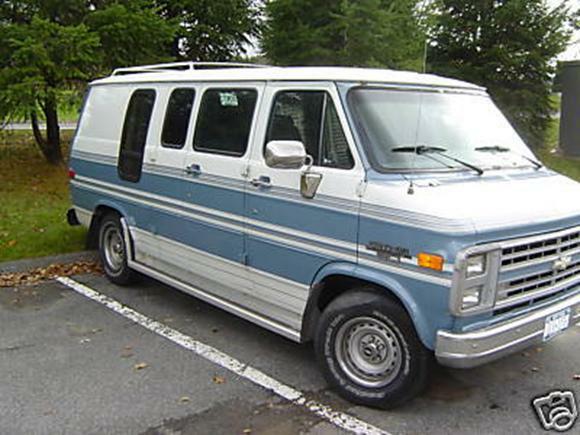 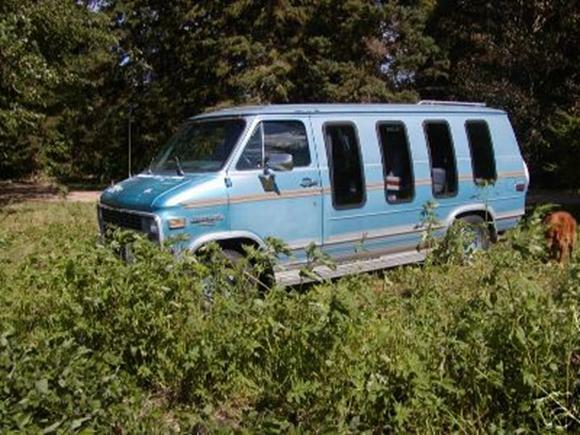 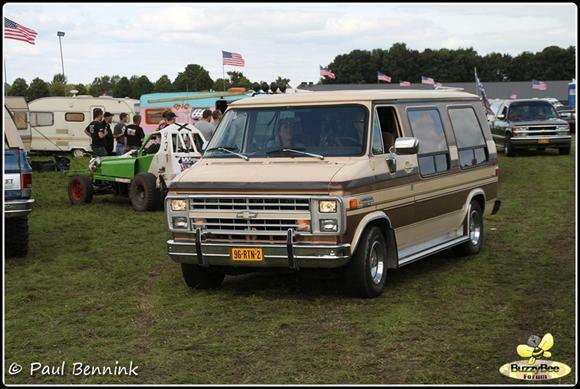 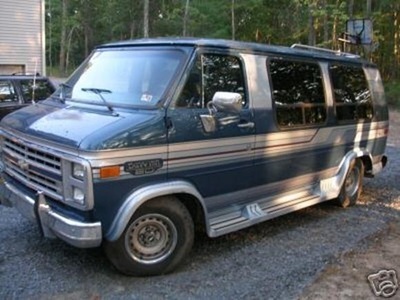 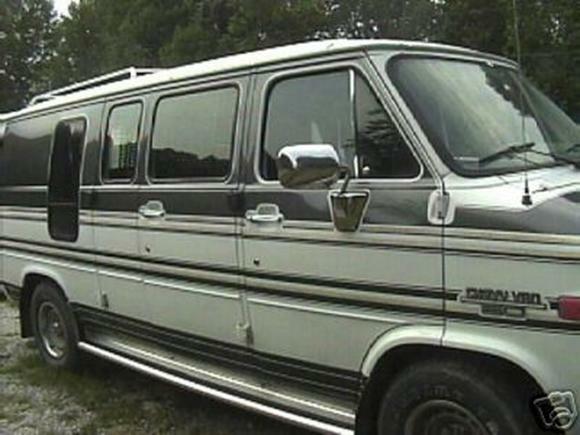 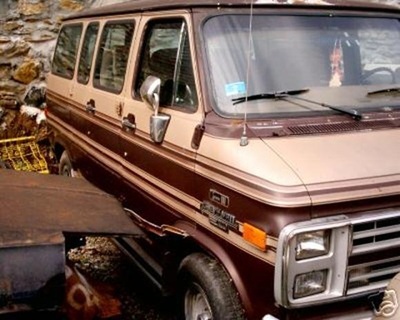 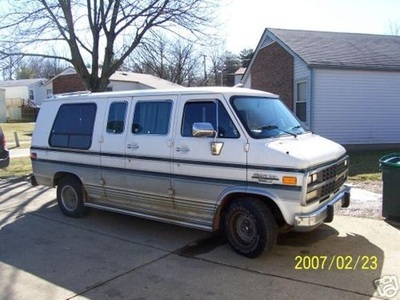 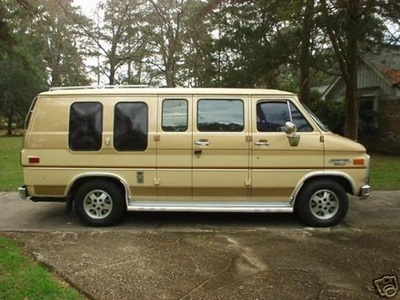 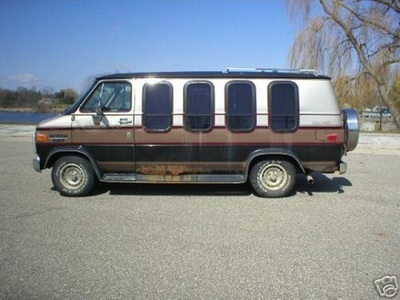 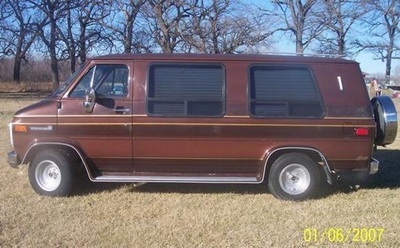 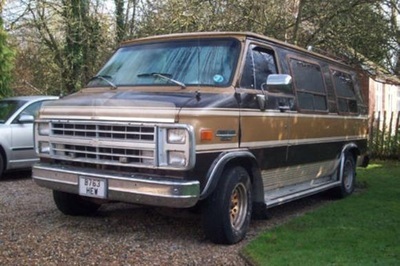 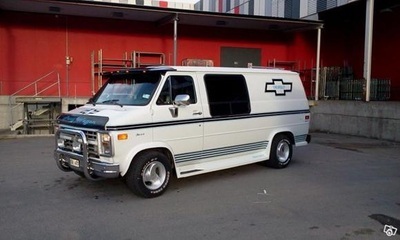 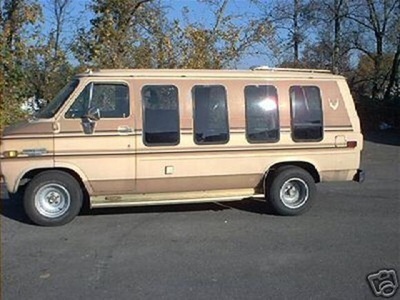 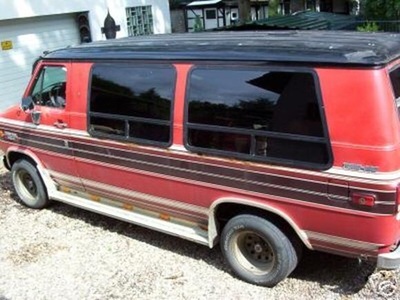 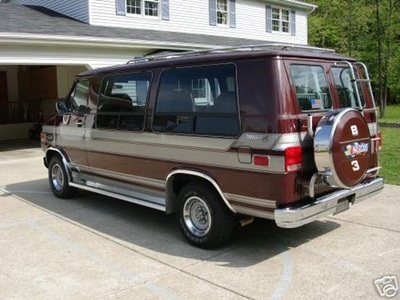 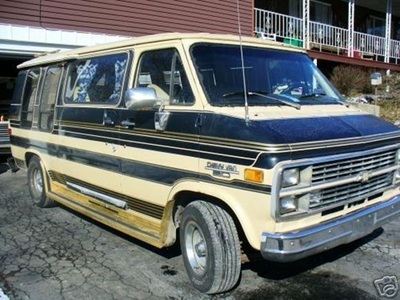 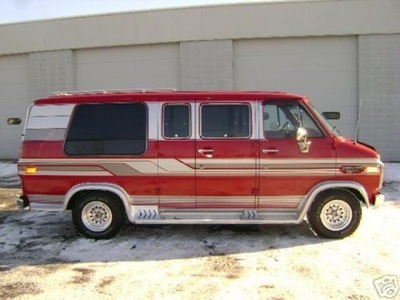 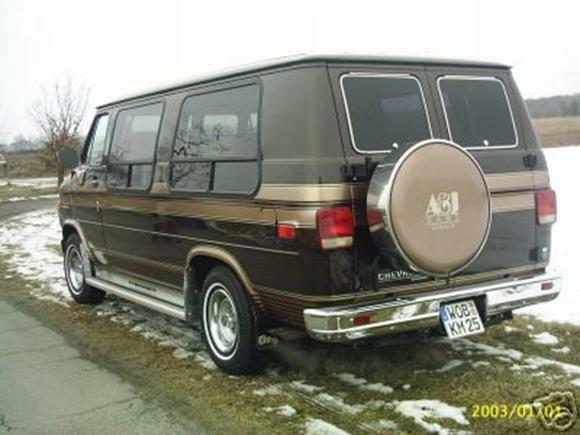 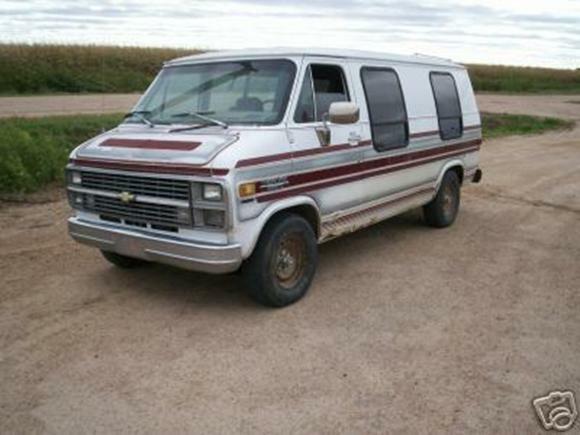 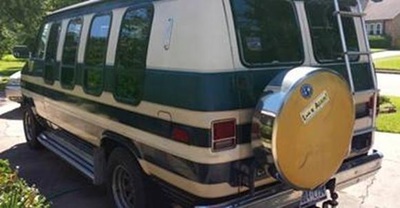 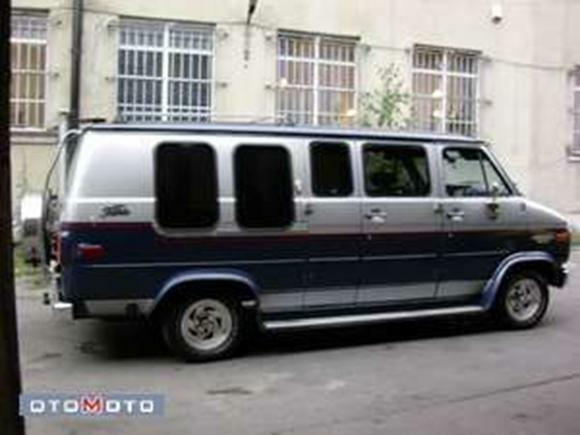 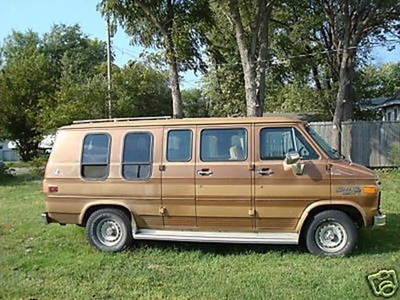 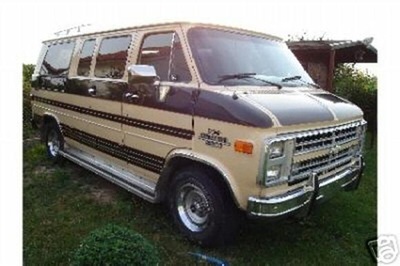 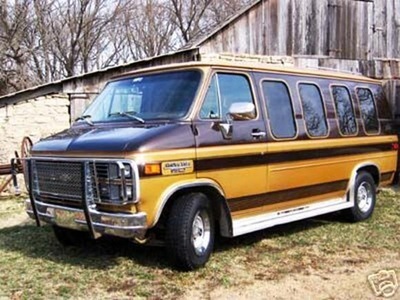 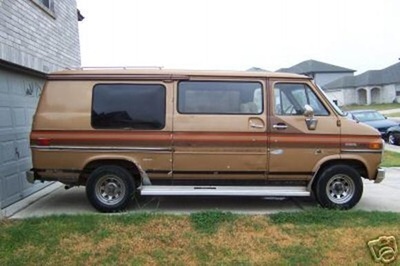 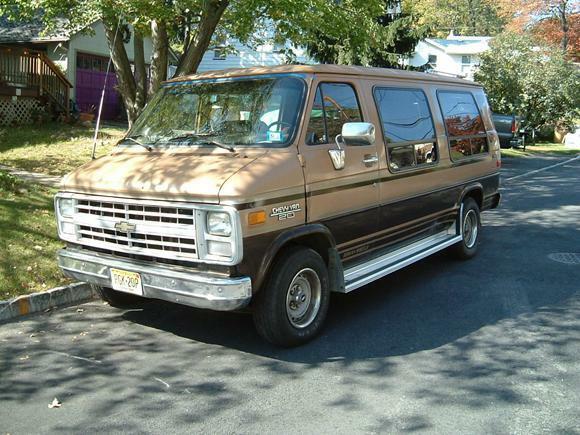 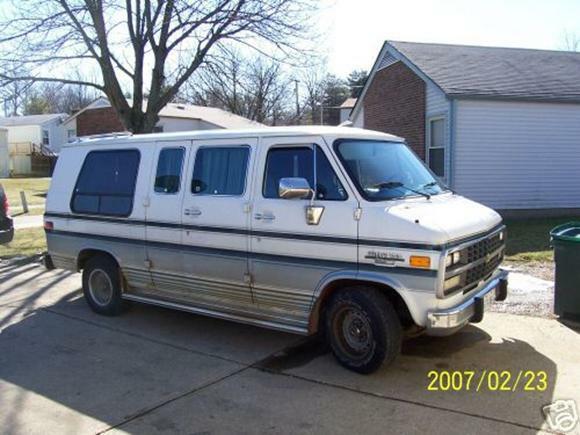 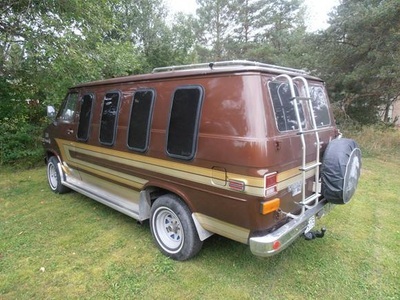 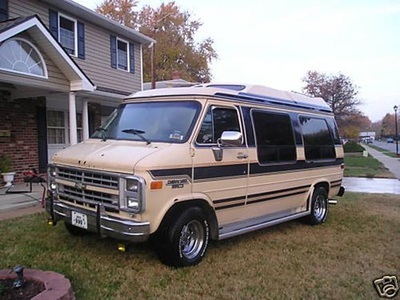 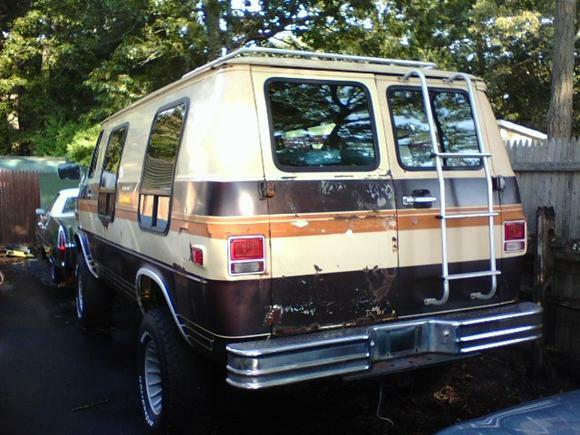 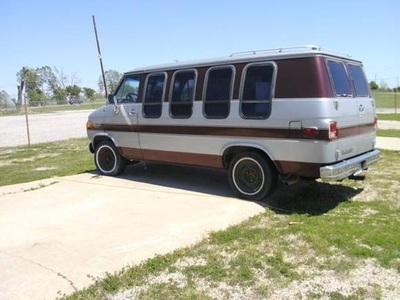 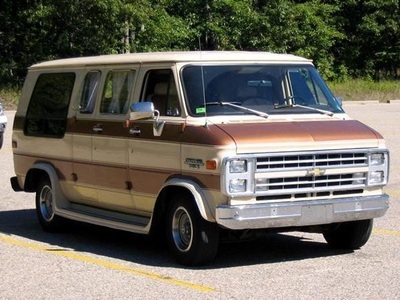 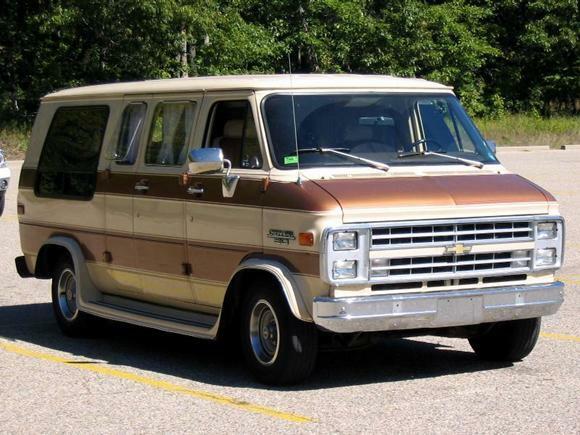 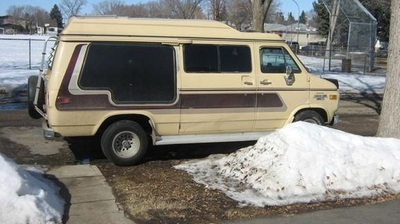 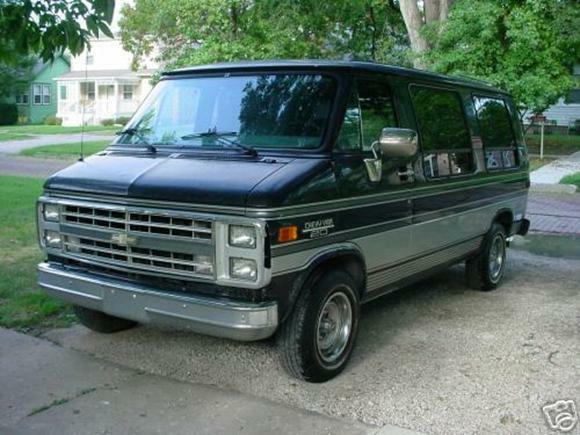 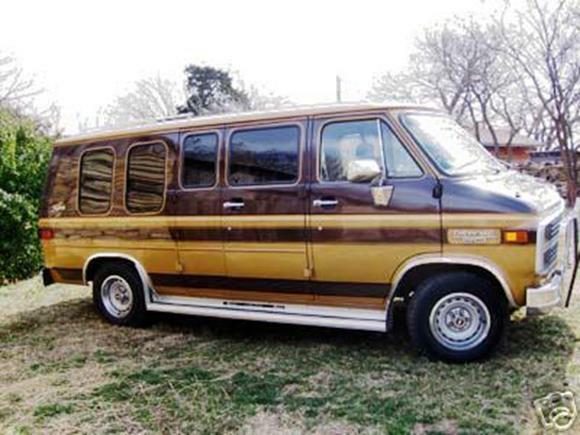 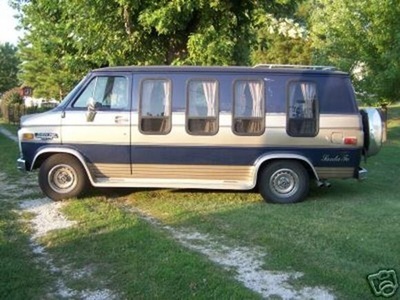 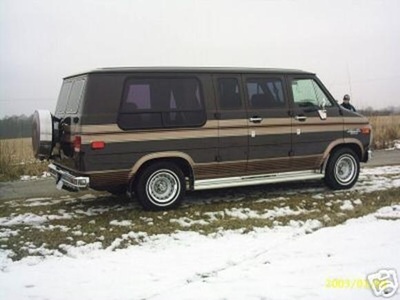 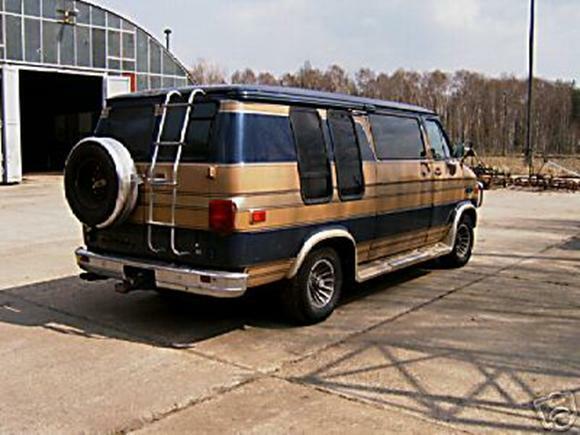 Chevy Van and GMC Vandura are identical panel vans and the ones most frequently used by converters when they deal with GM. Converters prefer the untouched sheet metal so that they can place windows according to their own design. 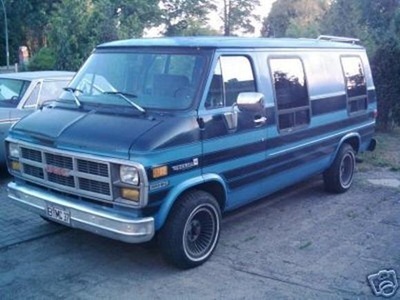 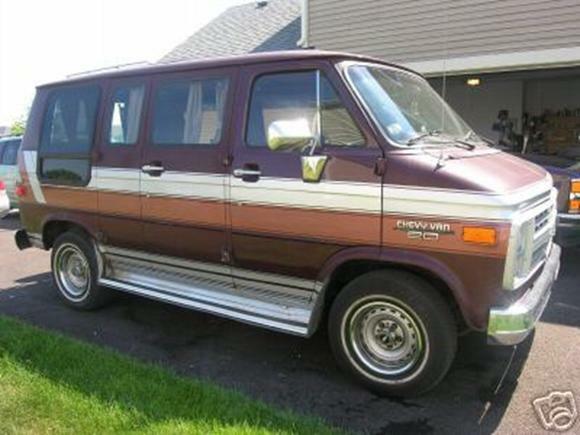 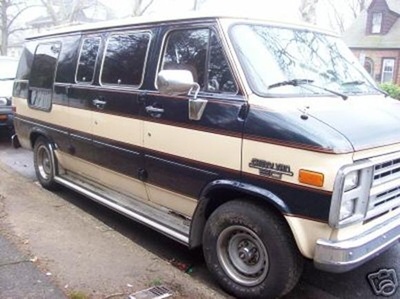 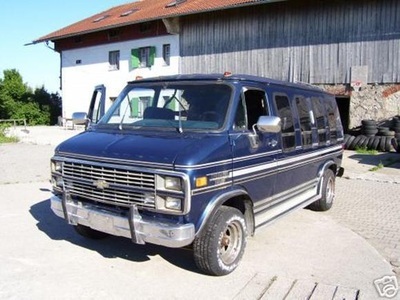 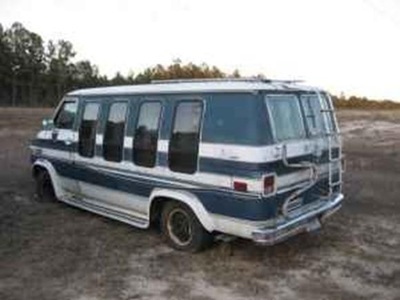 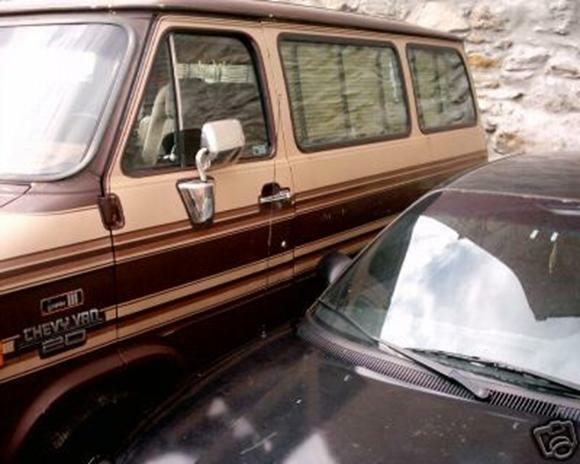 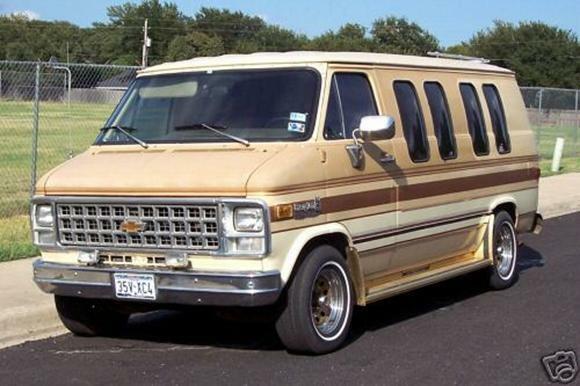 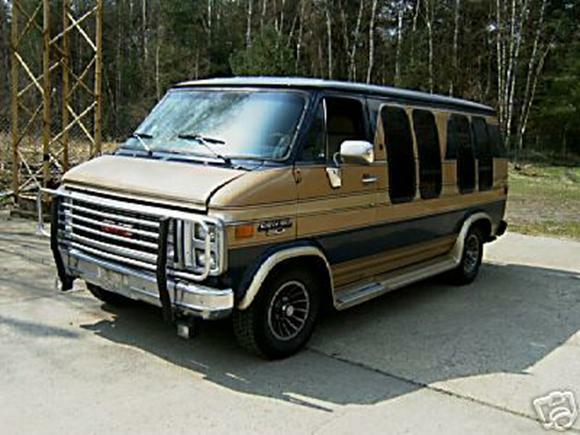 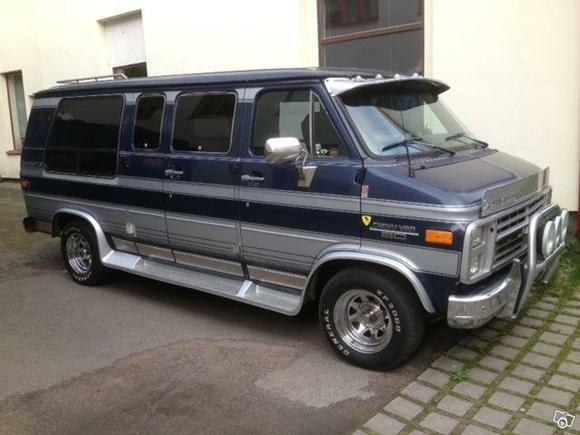 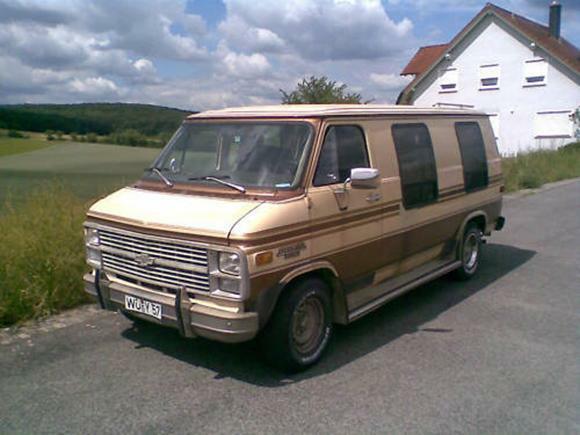 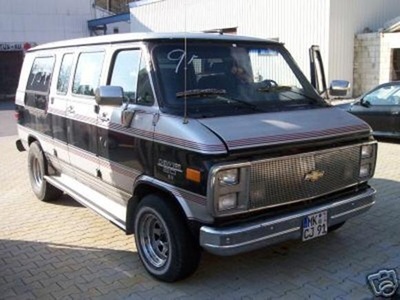 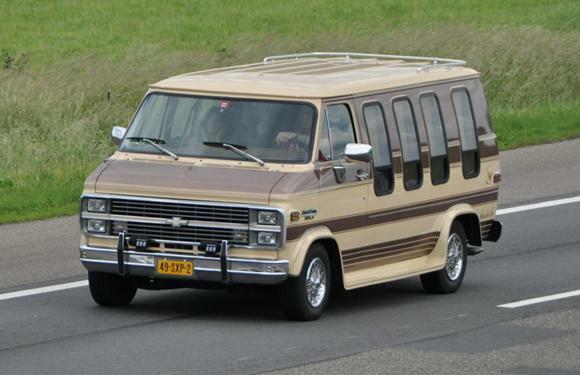 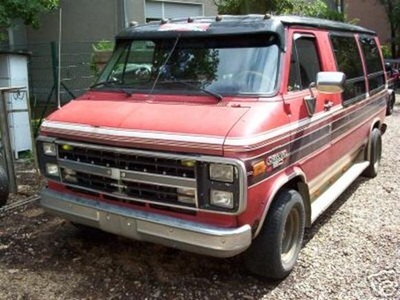 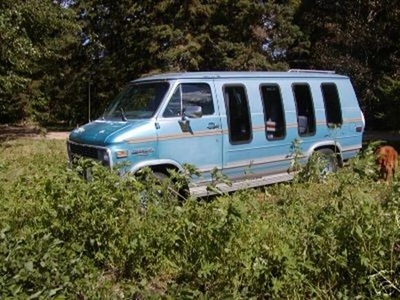 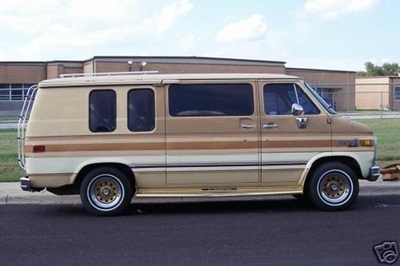 The other twins in the GM stable are the Chevrolet Sportvan and GMC Rally. Both are passenger-oriented vans with factory-installed windows. Each nameplate offers three series- Chevrolet the G10, G20, G30 and GMC the G1500, G2500 and G3500. 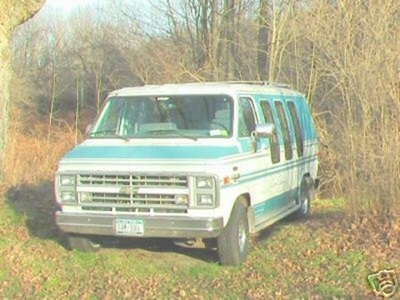 The series correspond roughly and respectively to the outmoded half-ton, three-quarter-ton, and one-ton identifications. Each offers different levels of standard drivetrain and chassis equipment, and different load-carrying capacities. 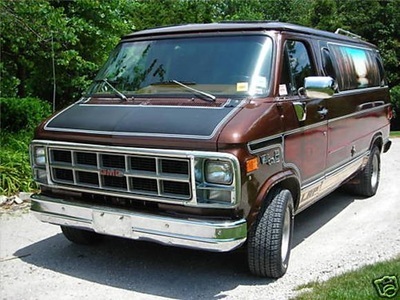 G10series is available in 4,900, 5,400, 5,600, or 6,000-pound gross vehicle weight ratings (GVWR). 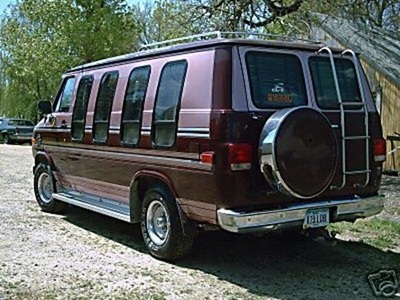 Because there is just a 700 pound difference in the base weights of the G10, G20, G30series, the GVWR is a direct measure of the load-carrying ability of each. 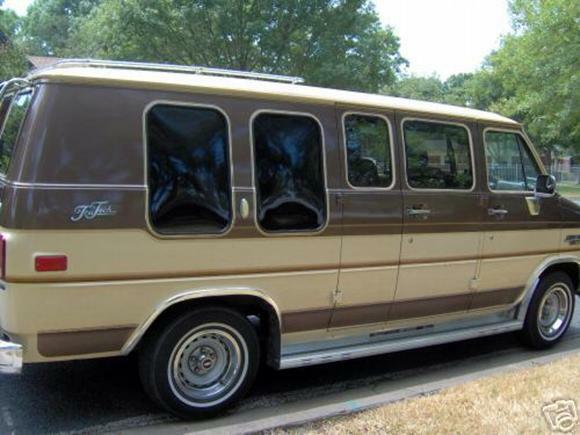 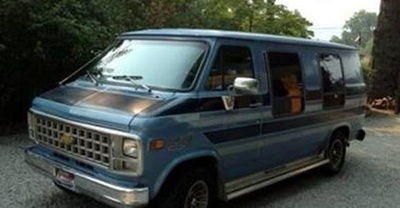 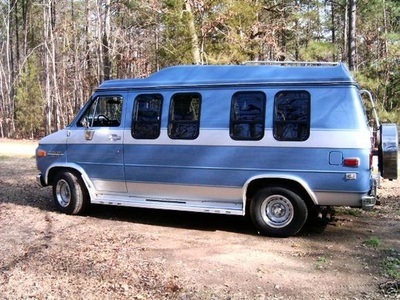 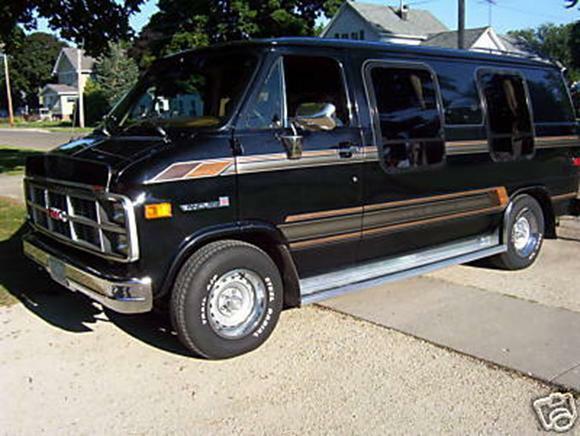 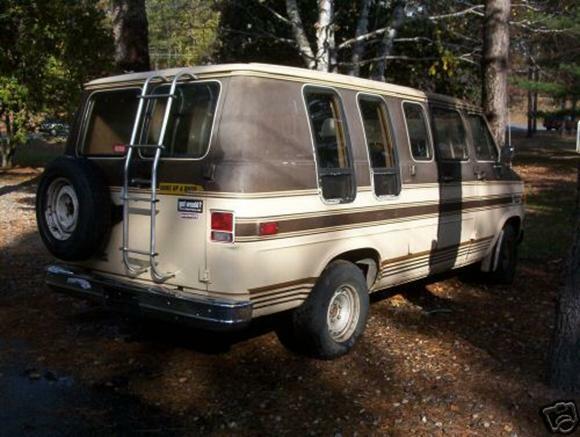 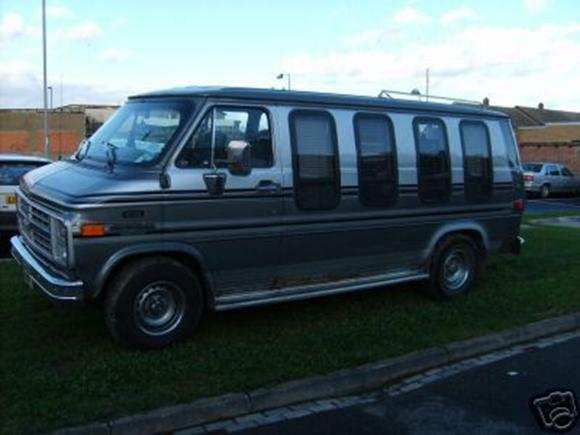 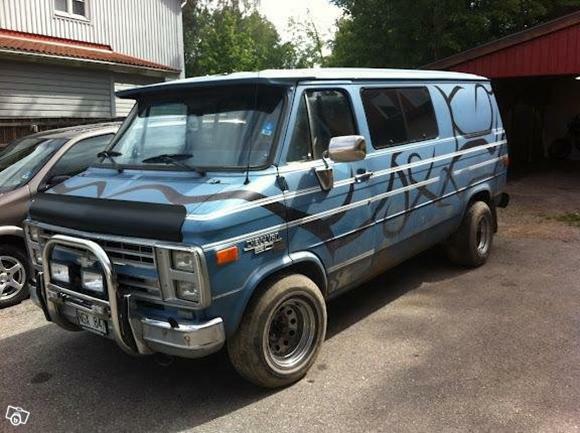 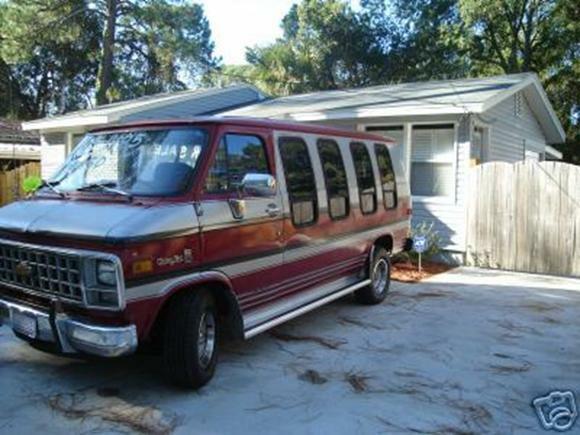 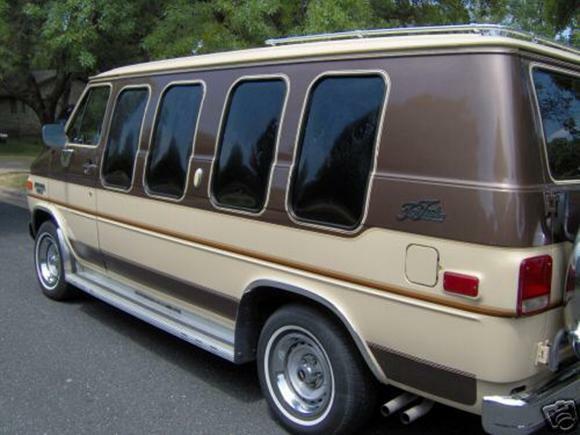 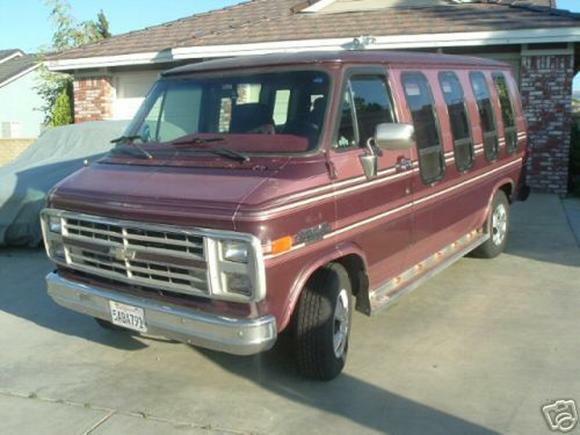 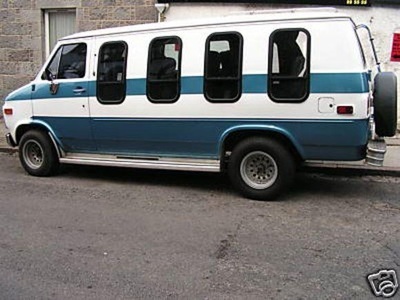 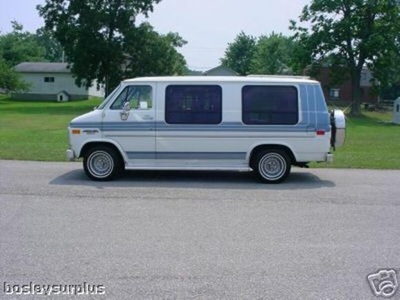 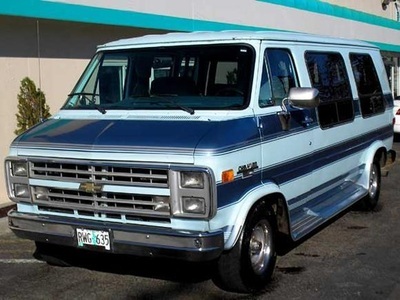 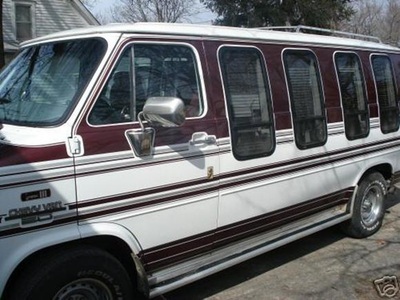 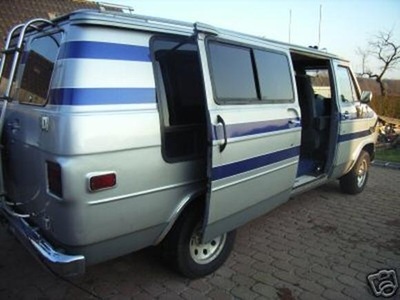 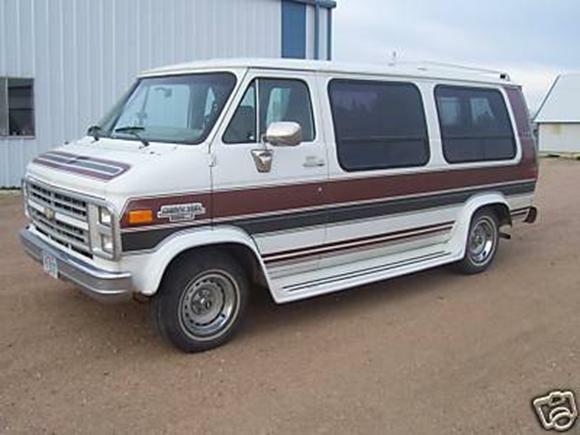 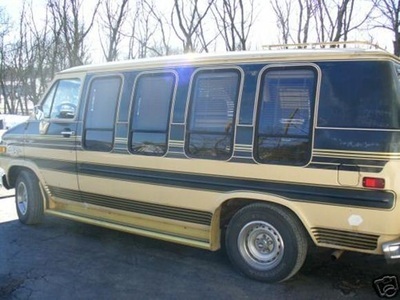 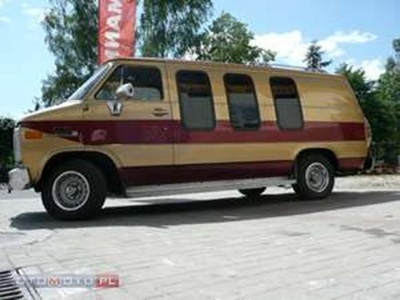 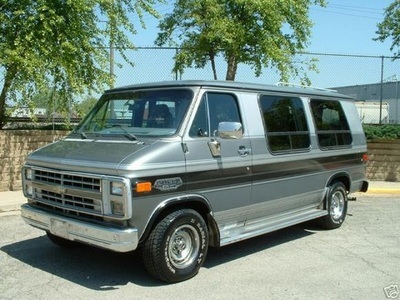 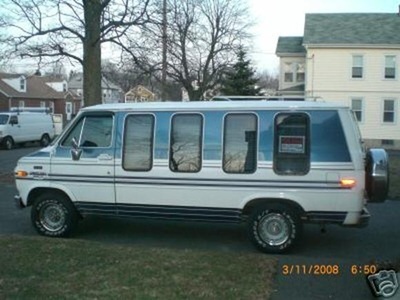 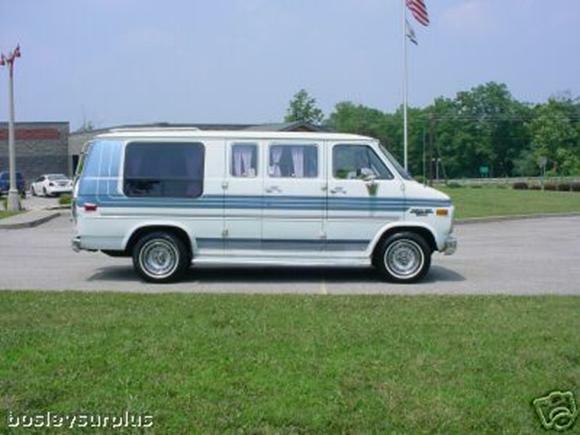 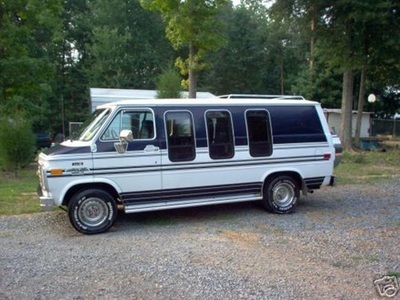 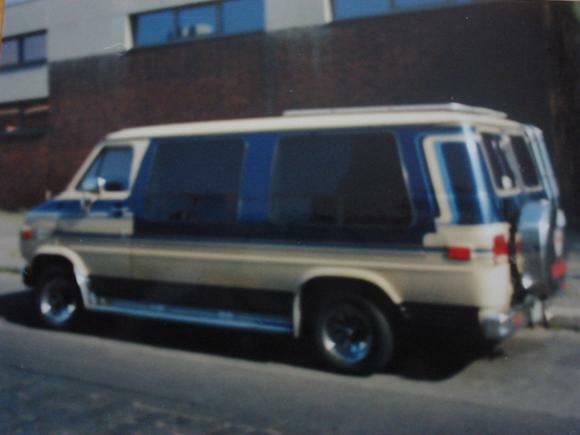 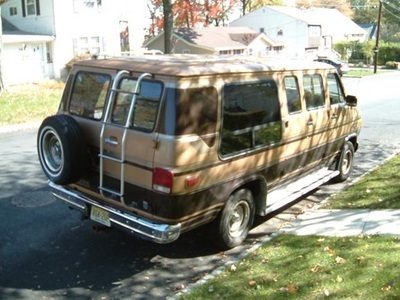 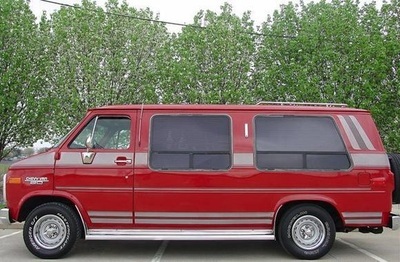 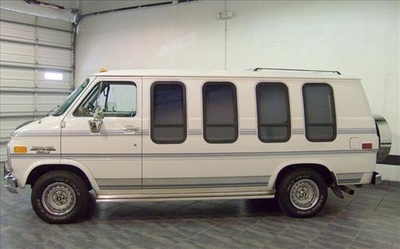 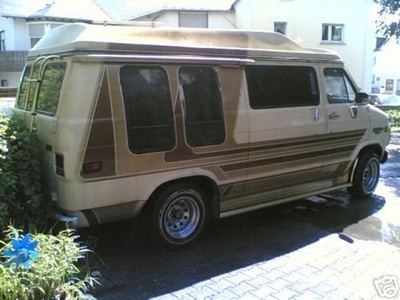 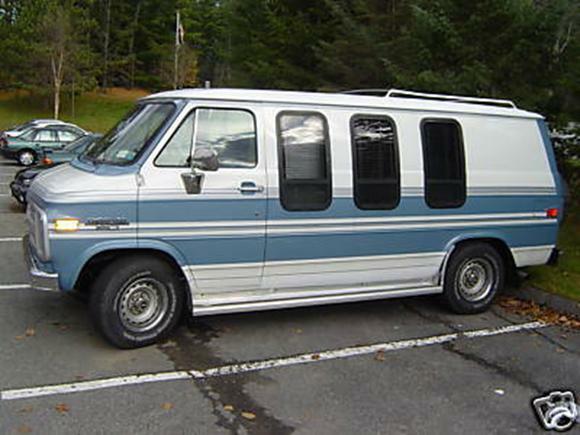 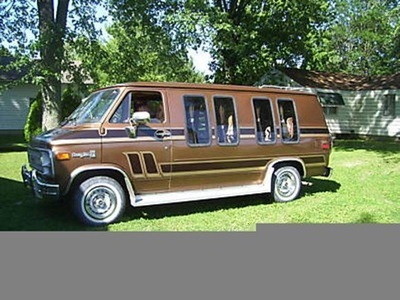 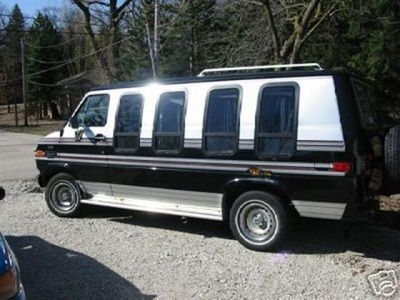 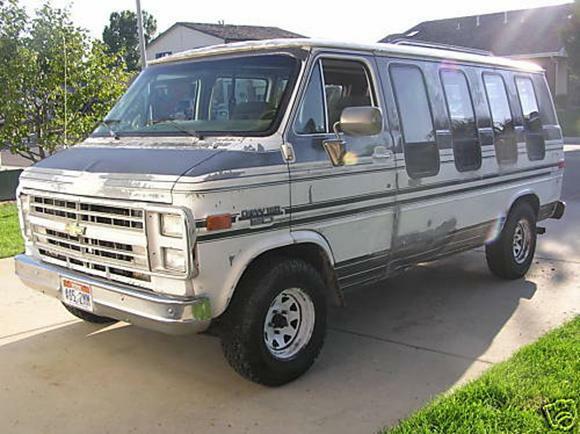 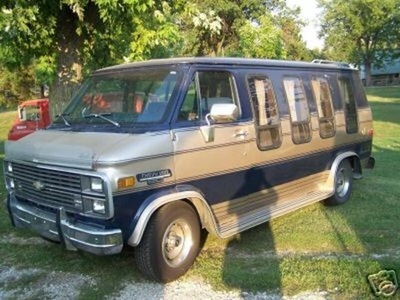 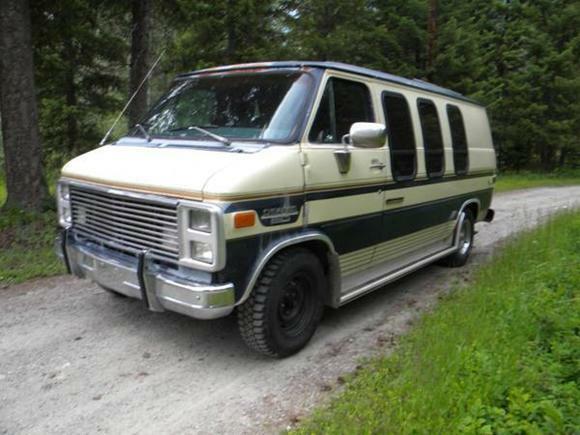 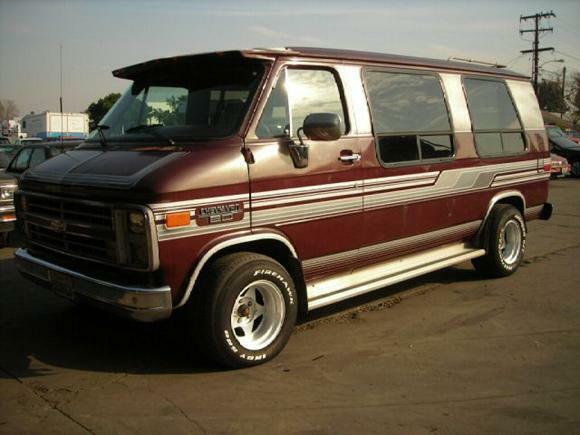 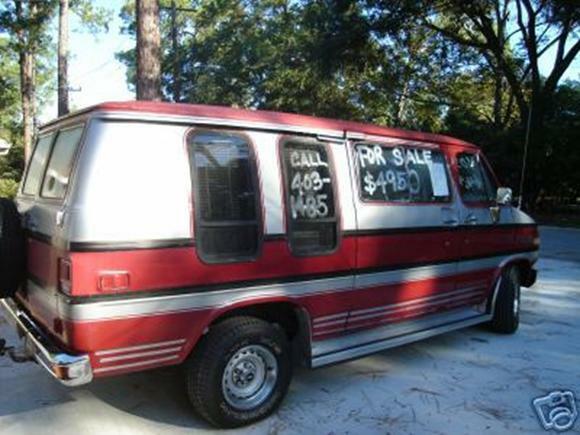 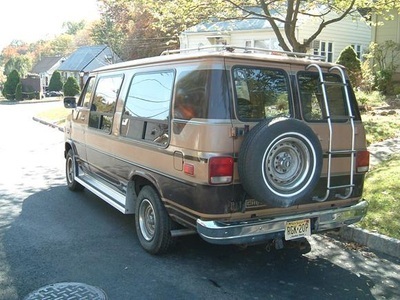 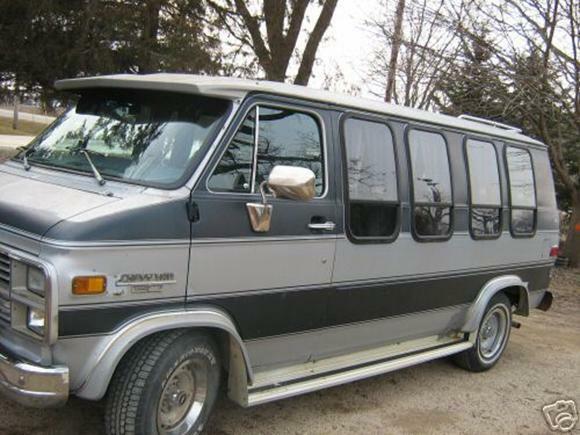 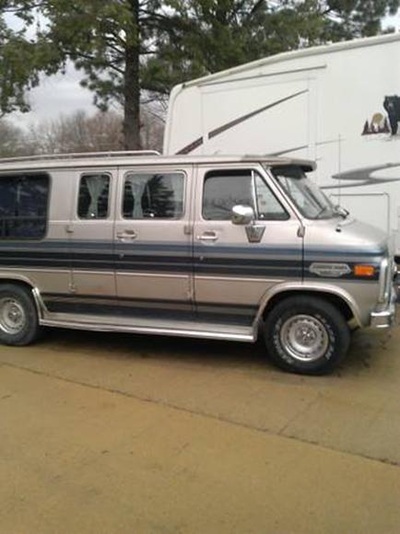 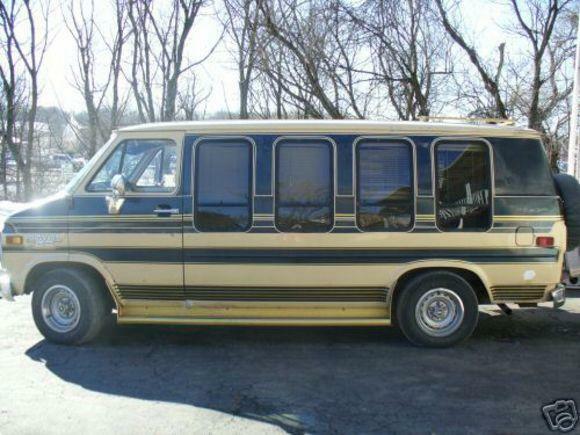 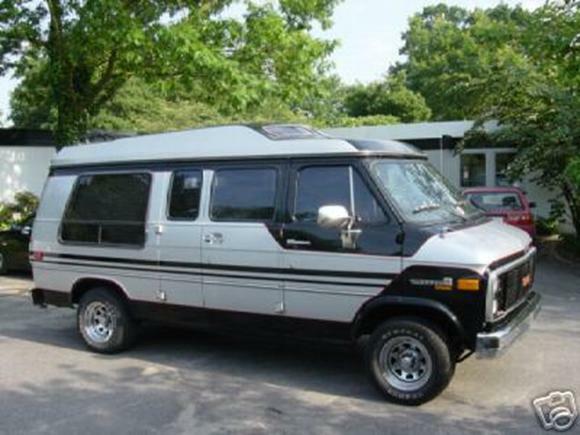 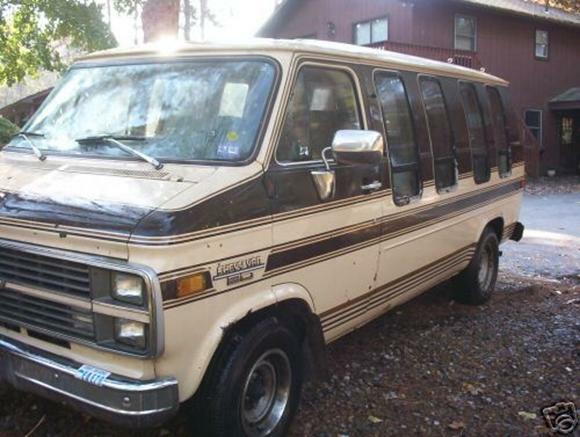 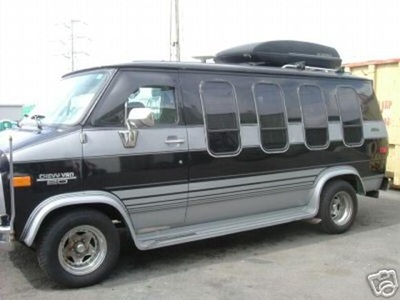 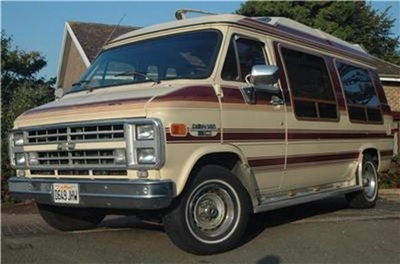 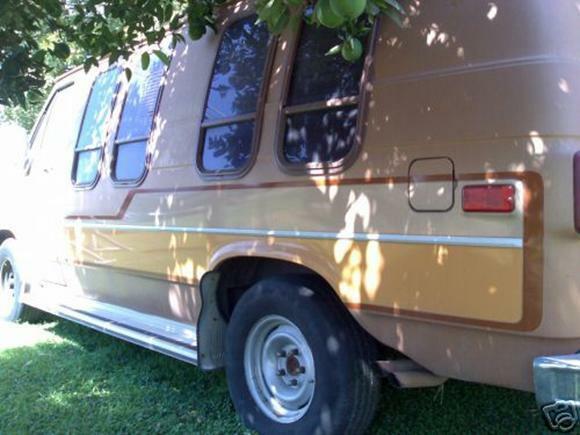 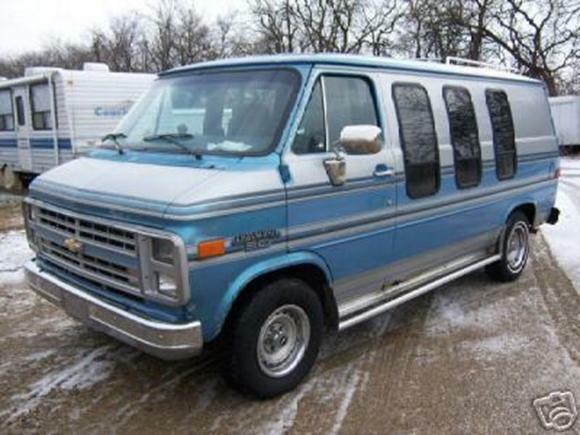 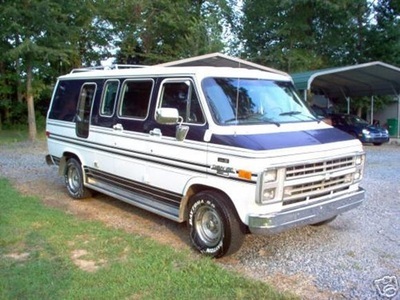 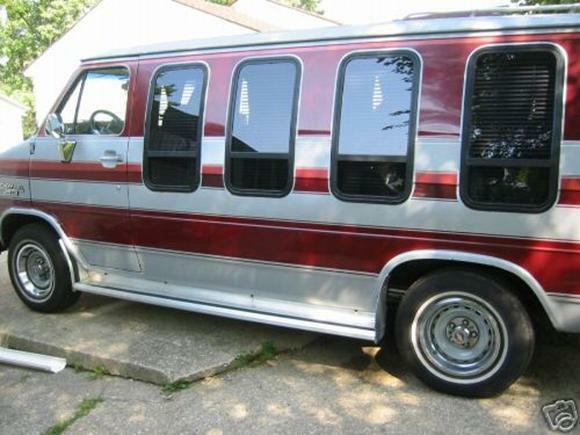 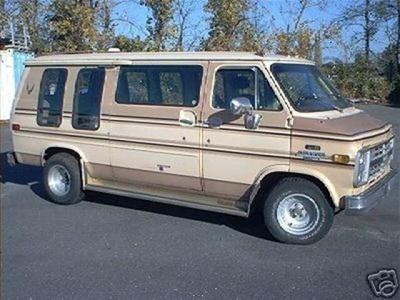 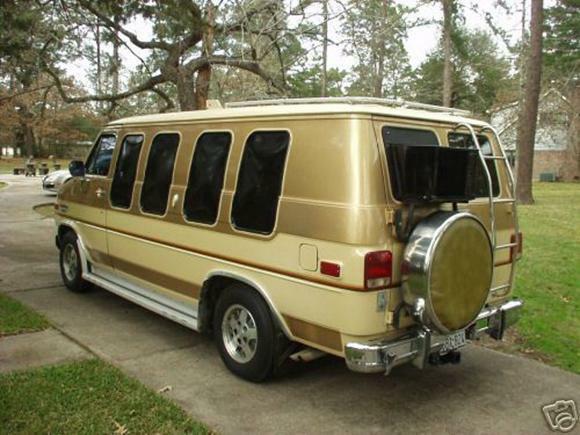 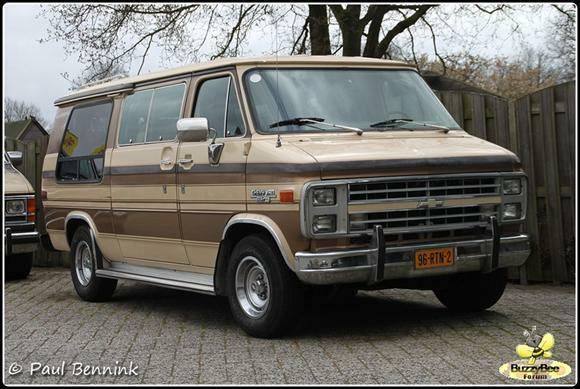 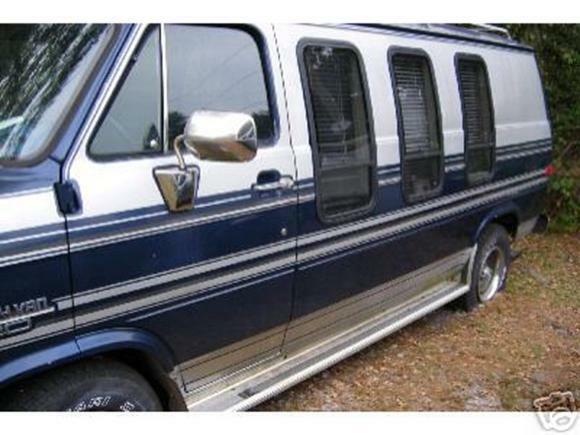 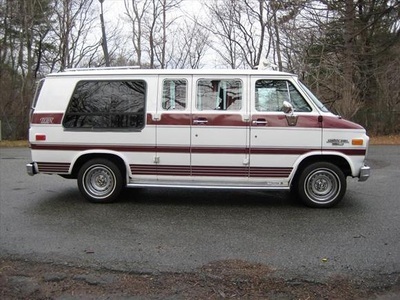 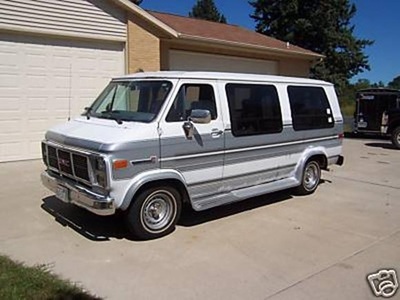 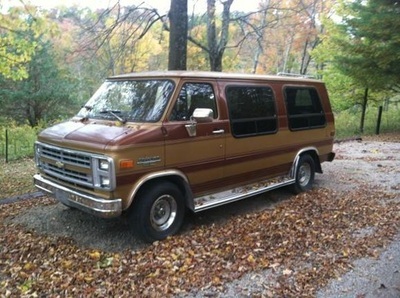 There are two different wheelbases available in the G10van series: 110 inches and 125 inches. 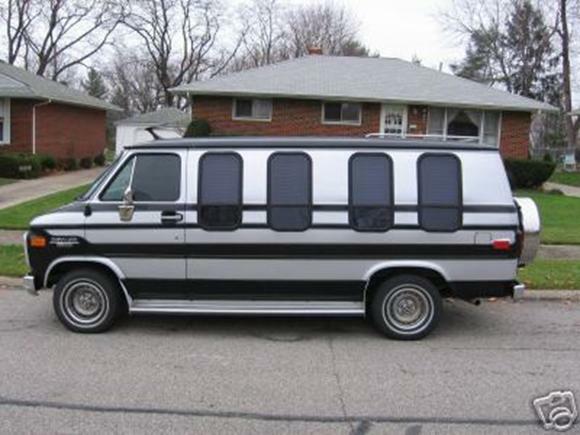 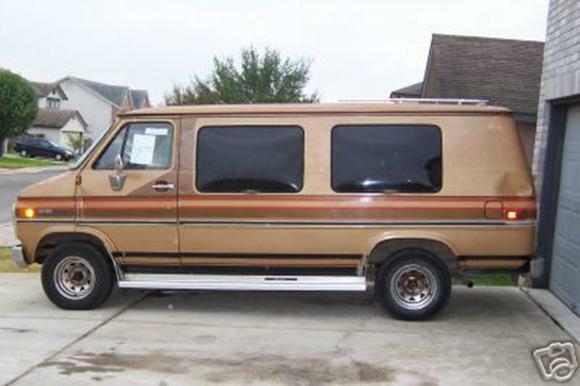 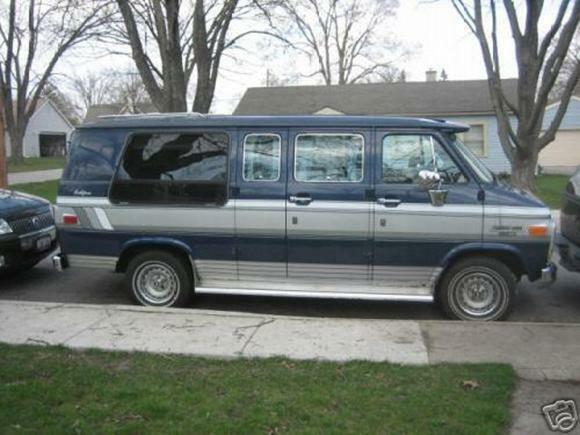 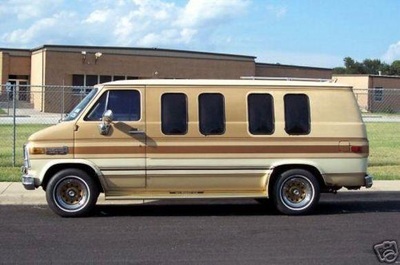 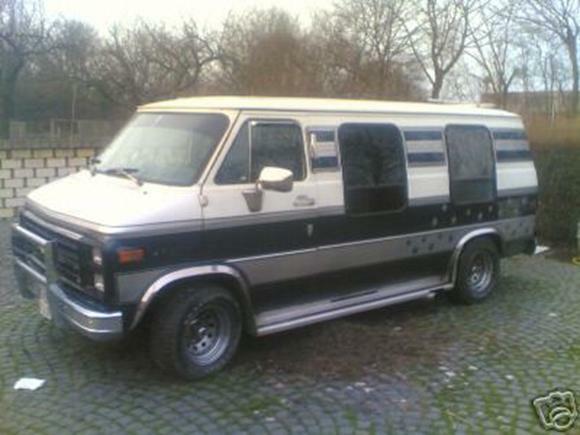 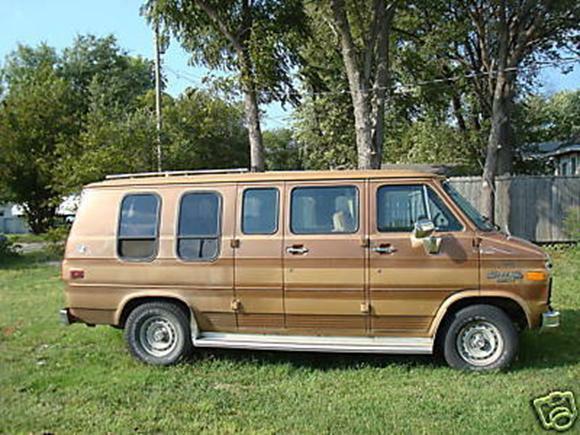 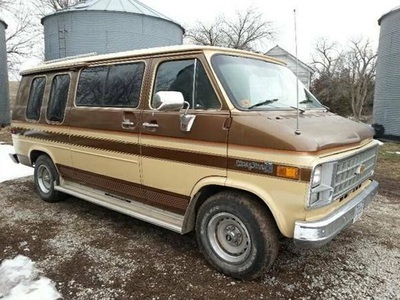 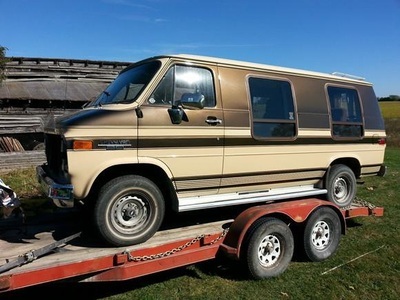 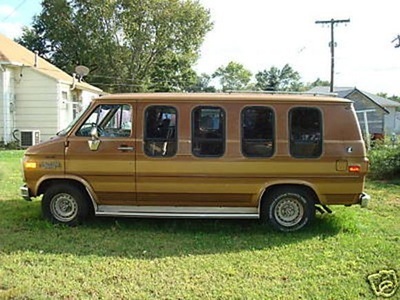 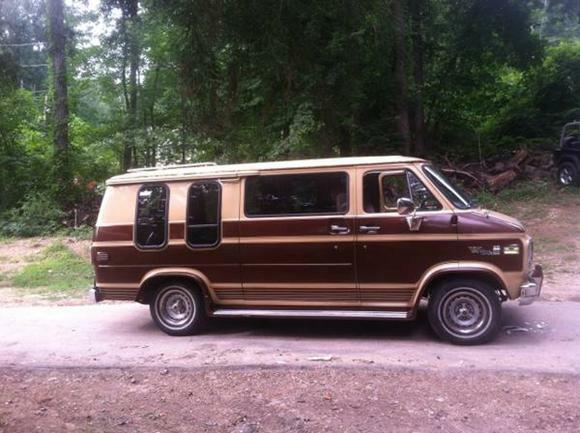 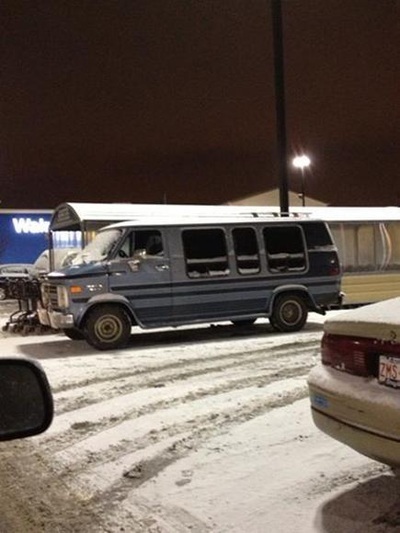 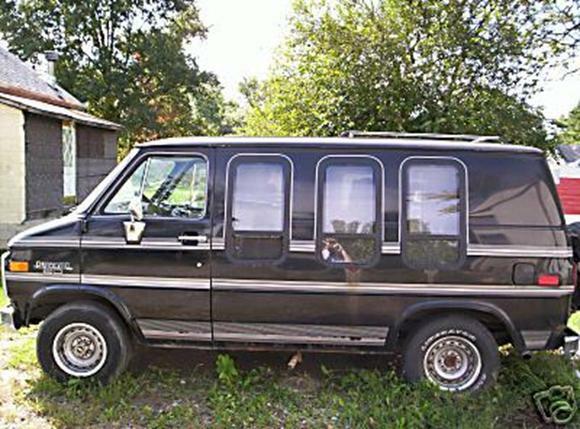 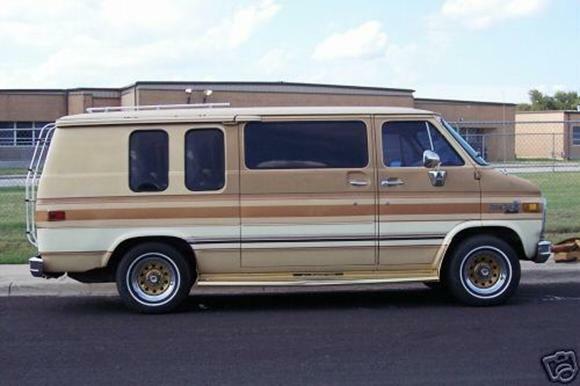 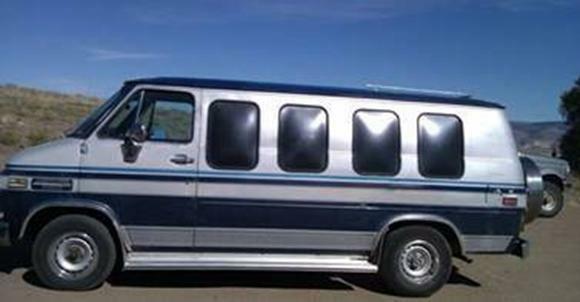 In the G20 van series, only a 6,600-pound GVWR model is offered. The major differences between the G20 and G10 series are the larger rear brakes on the G20 and the larger standard tires. 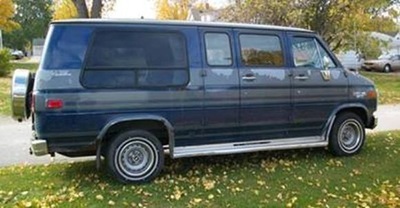 As with the G10, both 110-inch and 125-inch wheelbase models are available in the G20 series. Two GVWR models are offered in G30 heavyweight, one at 7,100 pounds and the other at 8,600 pounds. 8,600-pound model has a 5.7-liter V8 with automatic transmission and 4.09 axle as standard. 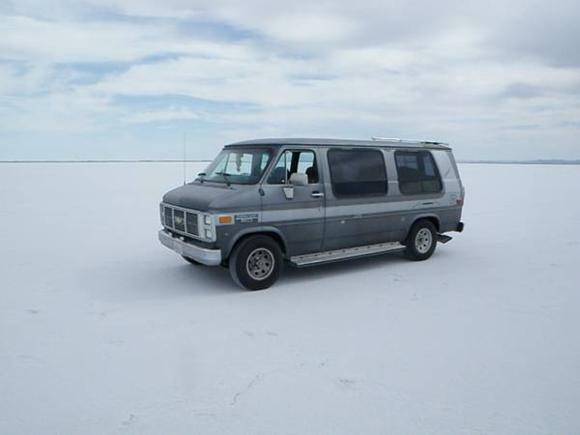 Only a 125-inch wheelbase is offered in the G30 series, and heavier duty front and rear springs. 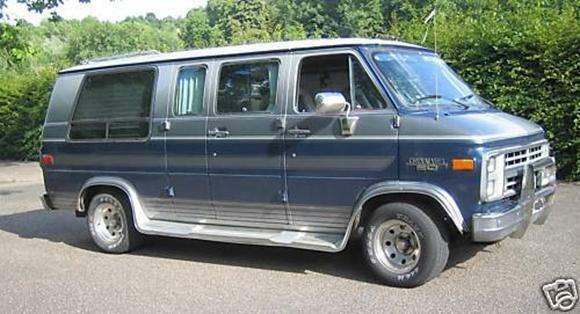 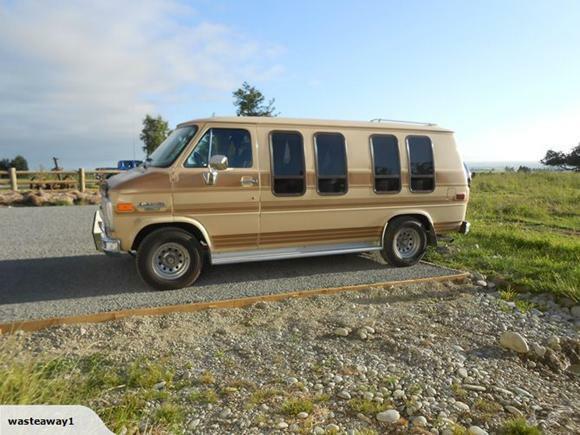 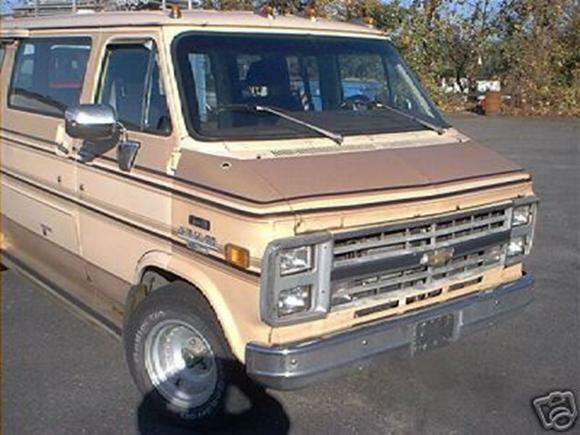 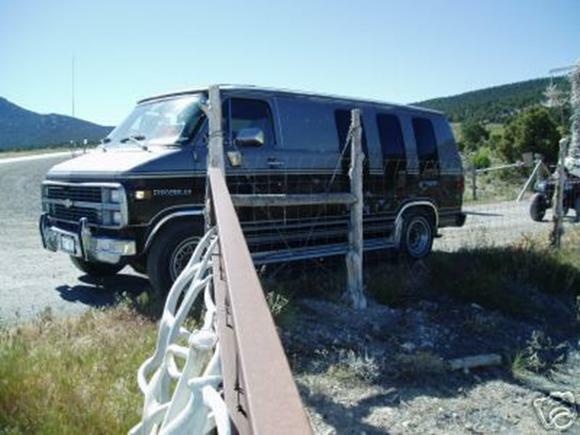 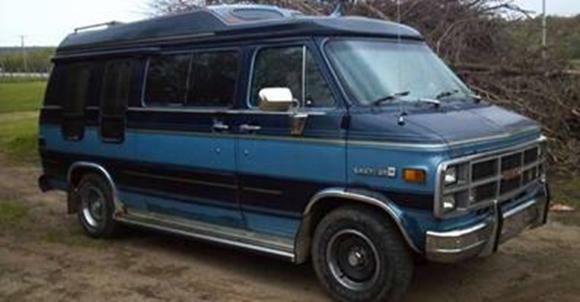 Available in either a 5,600 or 6,0000-pound GVWR version, the G10 Sportvan offers the same standard drivetrain as the G10 Chevy Van. The 5.0-liter V8 is offered only with an automatic transmission; its standard axle is a 2.73 and the 3.08 is optional. In the G20 Sportvan series, basic characteristics are identical to those of the G20 van: 6,600-pound GVWR, same base and optional drivetrains, same suspension, tires, brakes, and steering. 125-inch wheelbase is offered, andwith the 5.0-liter v8, onlyan automatic transmission only and either a standard 2.56axle ratio or optional 2.73:1 ratio. At the G30 stage, either a 7,400-pound GVWR or an 8,600-poundGVWR Sportvan is available; both are powered by a standard 5.7-liter gasoline V8with automatic transmission. Standard ale ratio for the lighter model is 3.21; the heavier sports a 3.7 standard axle and offers an optional 4.09 ratio. 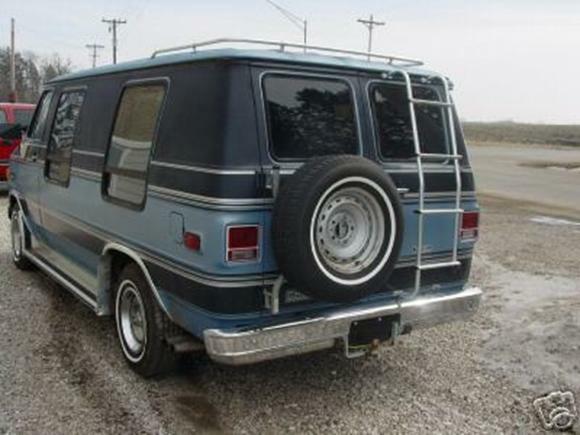 Springs and tires carry heavier ratings for the 8,600-pound version. 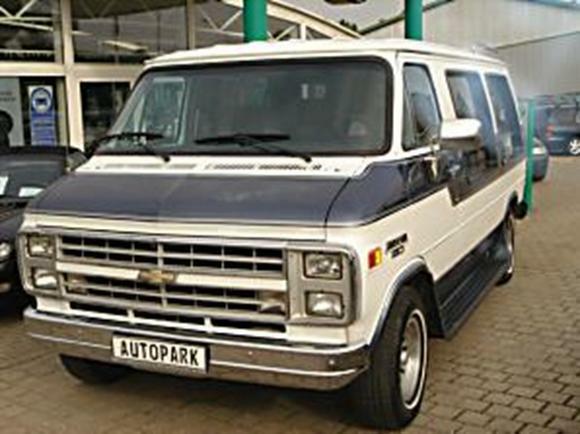 Horsepower and torque ratings for GM van engines are: for the 5.0-liter V8, 160hp at 4,400rpm and 235 lb-ft at 2,000rpm; for the 5.70liter V8, 165 hp at 3,800rpm and 275lb-ft at 1,600rpm. 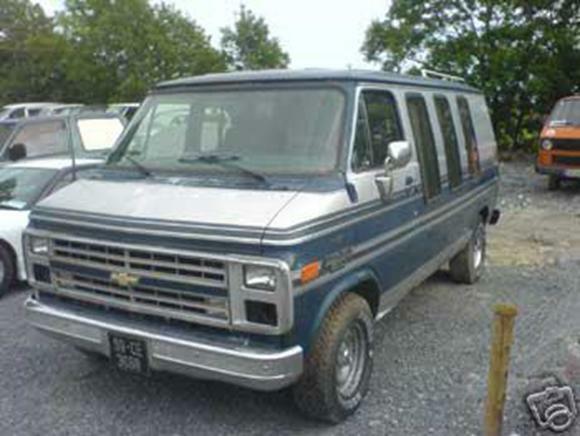 Factory instaled options for GM van include air-conditioning, engine oil and transmission coolers, heavy-duty cooling systems, heavy-duty generators, automatic speed control, tilt steering, intermittent windshield wiper system, and trailering equipment.